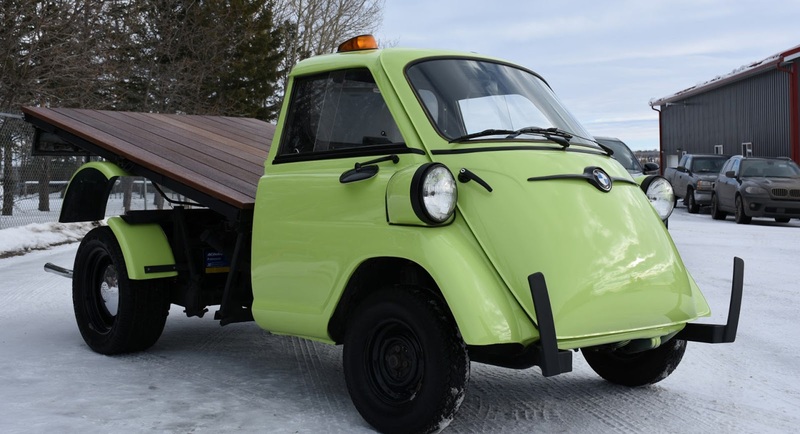 Well here’s something we thought we’d never see; a custom BMW Isetta that’s been converted into a pickup truck. 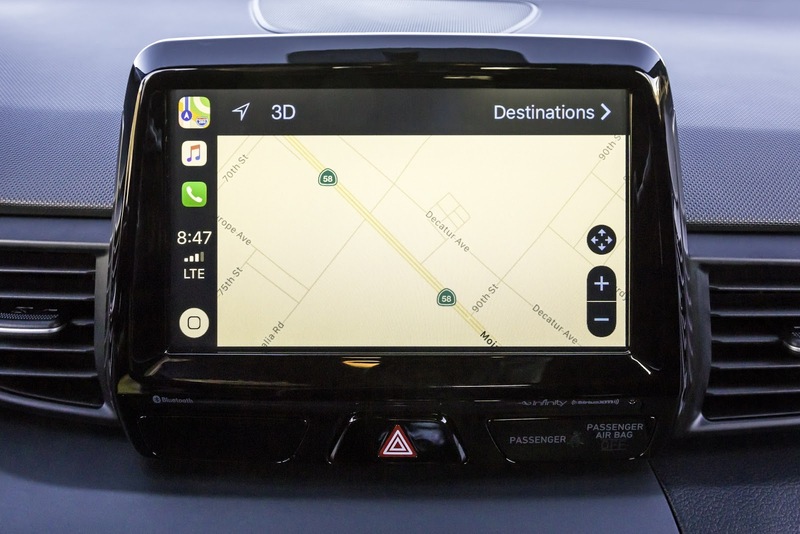 Buying a new Fiat 500 Mirror, regardless of body style, will immediately provide you with the latest infotainment tech as standard, not to mention a new livery with chrome details and special badges. 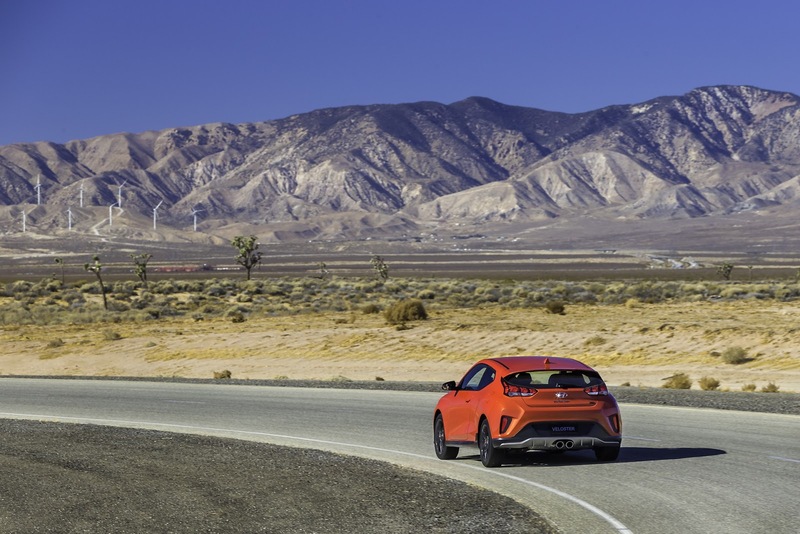 Renault invited journalists from all over the world to Spain recently, to drive the new generation Megane RS. 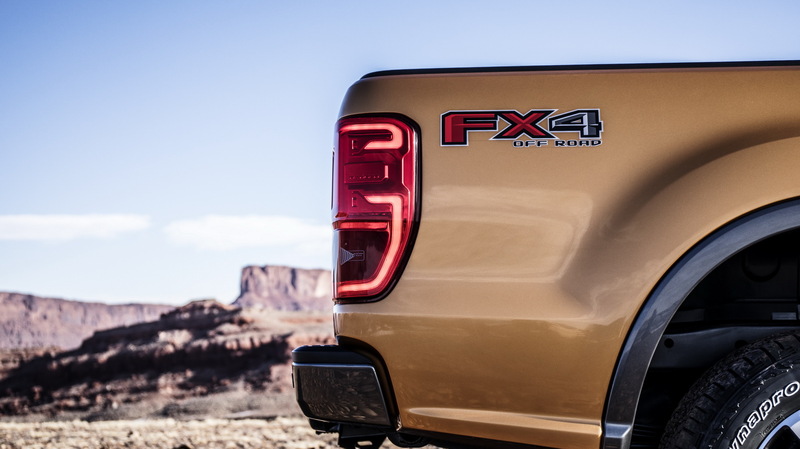 Chevrolet’s 2019 Silverado pickup was unveiled just in time to take on the new-gen RAM 1500 and Ford’s updated F-150 bestseller. 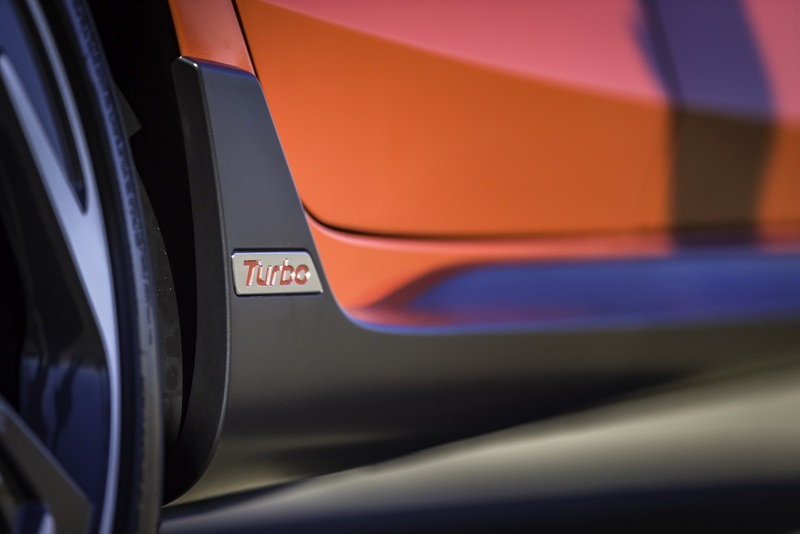 This year’s Detroit Auto Show is packed full of iconic nameplates that wouldn’t even frown when faced with any sort of rough terrain. 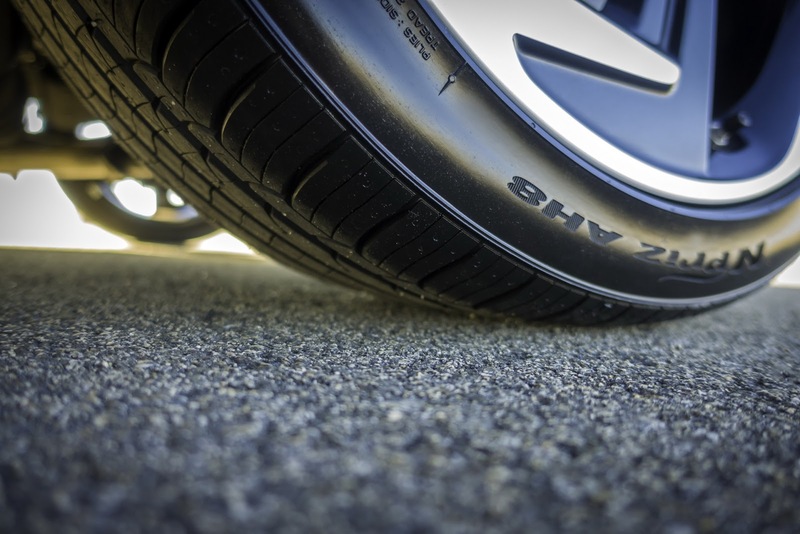 From the previously-mentioned pickup trucks, all the way to the new G-Wagen, running out of tarmac shouldn’t be a problem. 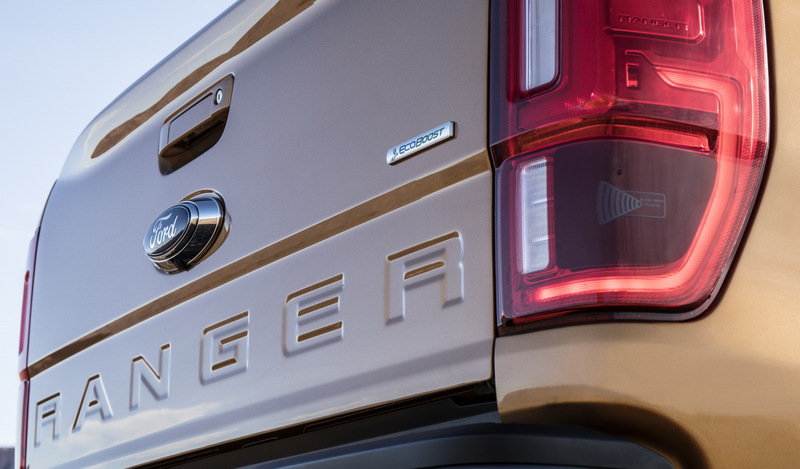 Compared to its predecessor, the 2019 Silverado is less conservative and features stronger character lines. 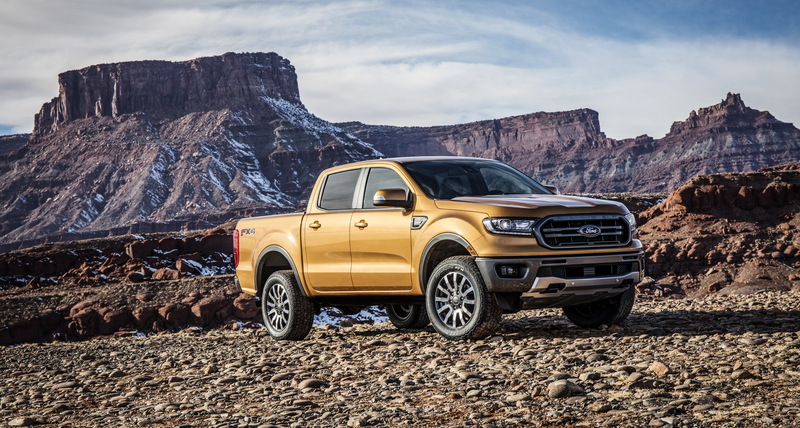 For a more rugged look, go for the LT Trailboss which adds the suspension lift, locking rear diff and skid plates. 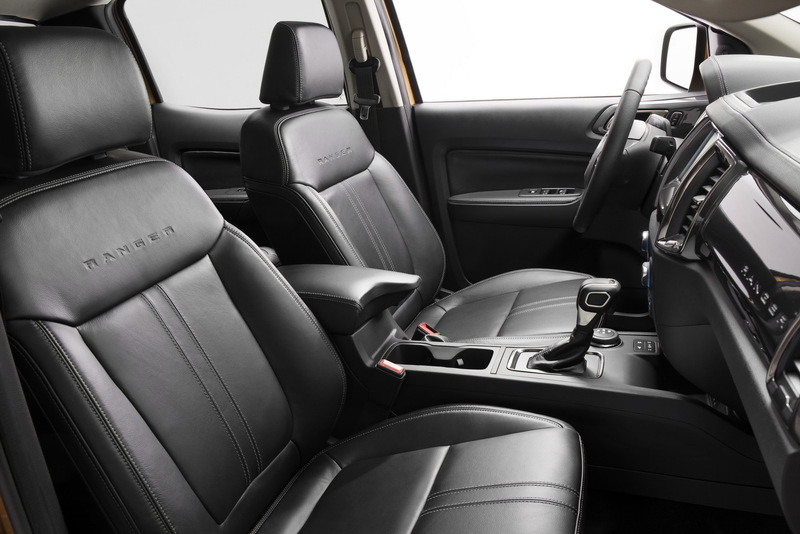 Unlike the exterior, the cabin of the all-new Silverado isn’t too different than it was before, influenced strongly by customer feedback, while packing an extra three inches of rear leg room for crew-cab models. Power unit choices will include new 5.3-liter and 6.2-liter V8 options, as well as a 3.0-liter Duramax turbodiesel, where the latter could end up to be the best performing diesel in the segment, according to GM exec, Mark Reuss. 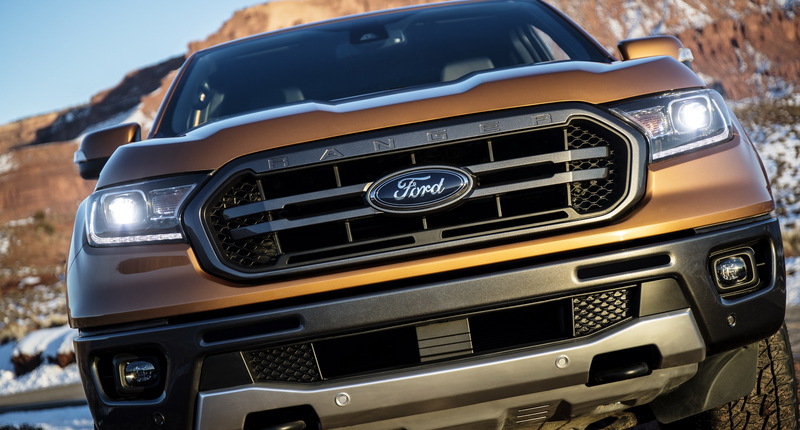 This could mean that it will feature higher power and torque numbers than Ford’s new 3.0-liter Power Stroke diesel V6, rated at 250 horses and 440 lb ft (596 Nm). 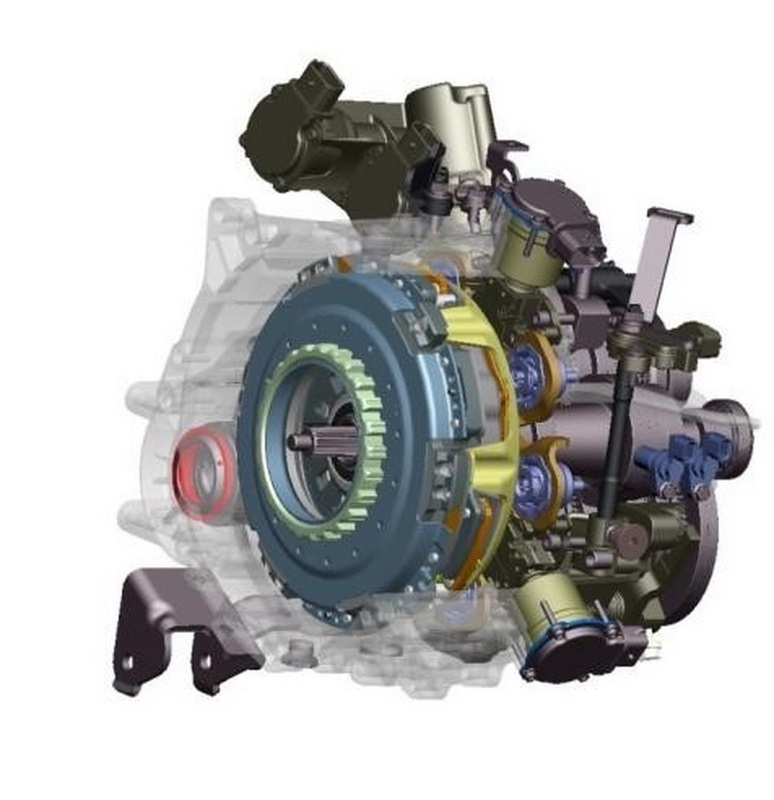 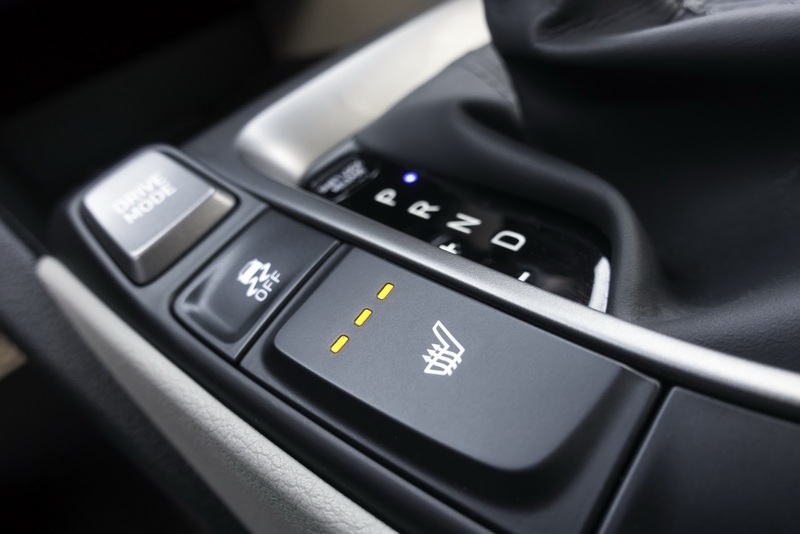 Just like Ford’s diesel, the Silverado’s will also be mated to a 10-speed automatic transmission. 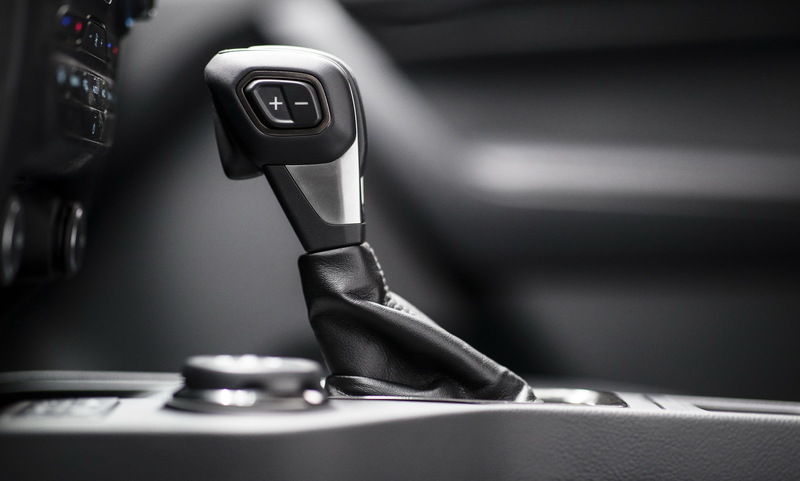 In total, Chevrolet will offer eight different 2019 Silverado versions, plus a wide range of engine and transmission combinations in hopes of helping customers find their ideal pickup. 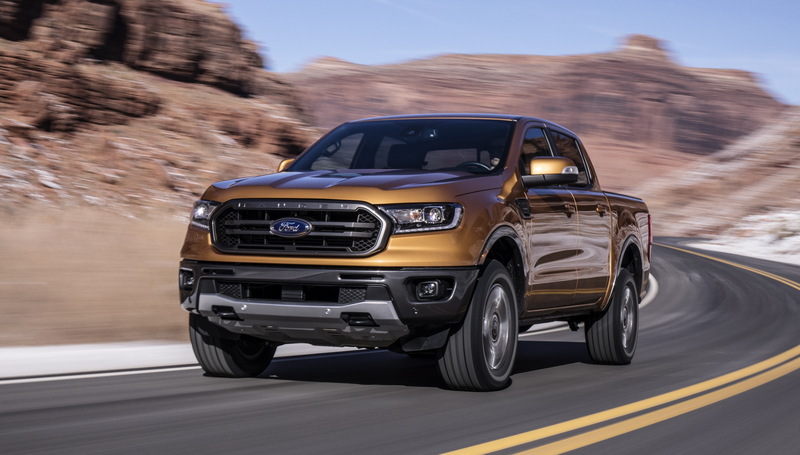 With the latest crop of trucks joining the rest of the industry in offering advanced active safety systems as well as connectivity features, you have to try to not to find a pickup that’s to your liking. 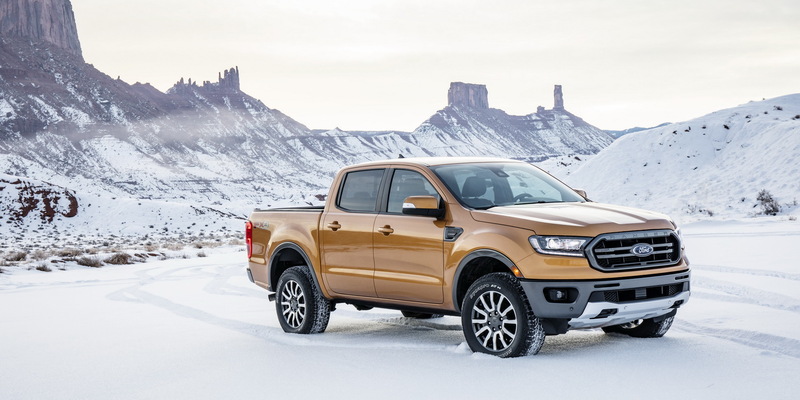 If you’re more of a RAM type of guy/gal rather than a fan of the Chevy Silverado or the Ford F-150, know that you can spec your truck in lots of different ways, from the rugged Rebel all the way to something more sporty like this Patriot Blue Big Horn. 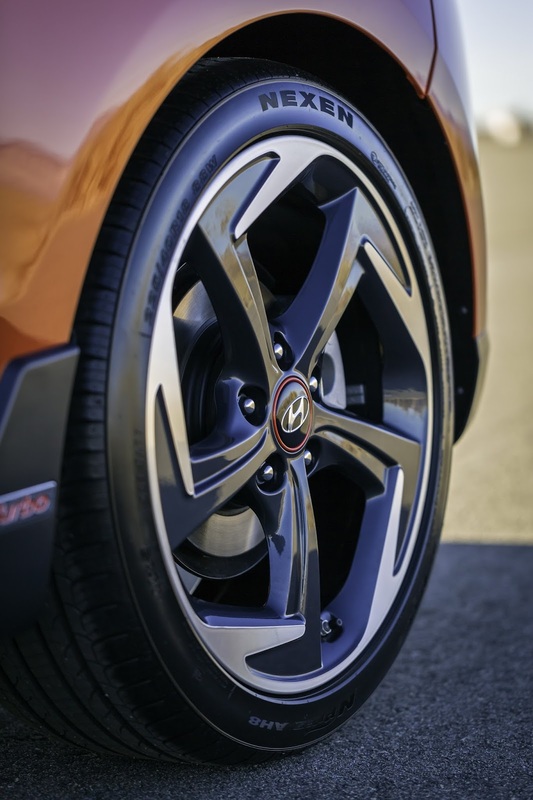 The latter comes with Mopar’s 20″ aluminum wheels, splash guards, aluminum running boards and side graphics, which are available in Grey Metallic or black. 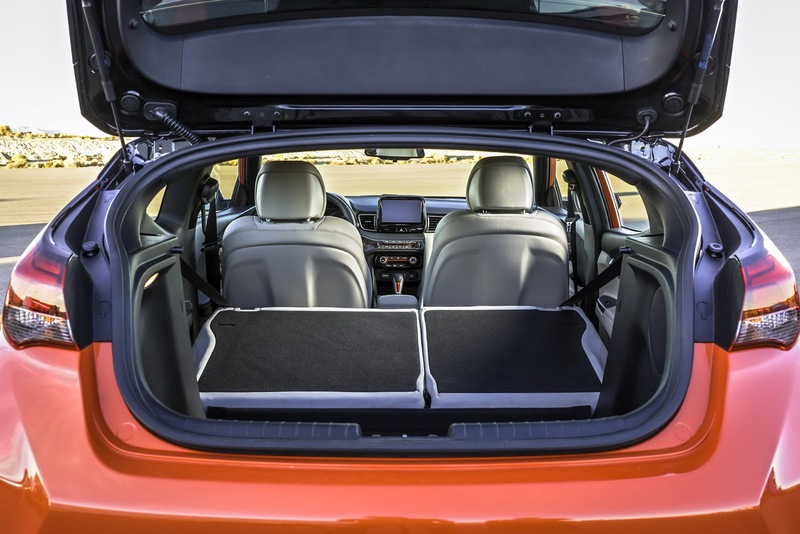 You get a little something extra even for the interior, with all-weather floor mats, more rigid sidewalls and stainless steel embossed sill guards. 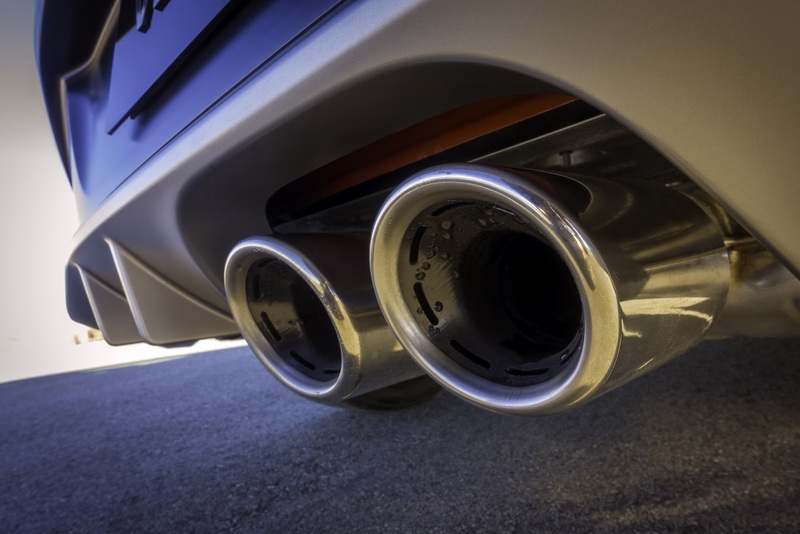 Aside from that, the Big Horn’s 5.7-liter HEMI engine can sound off through Mopar’s 5-inch custom exhaust tips, available in either gloss black or chrome. 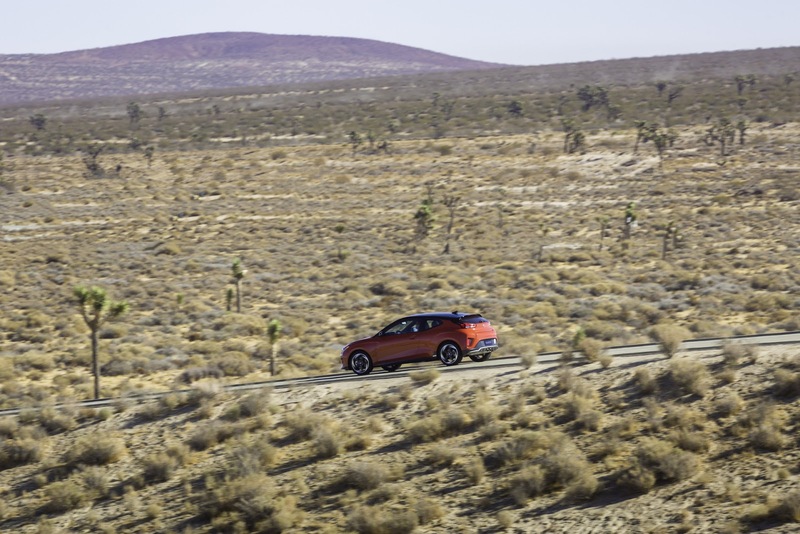 The Rebel on the other hand is what you might want to take if you’re driving over really rough terrain. 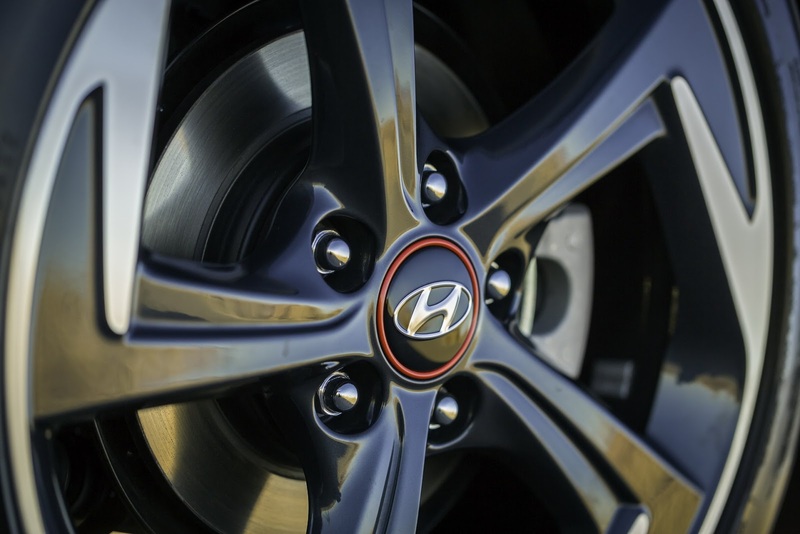 It has 33″ tires, a lifted suspension with Bilstein shocks and a locking rear differential. 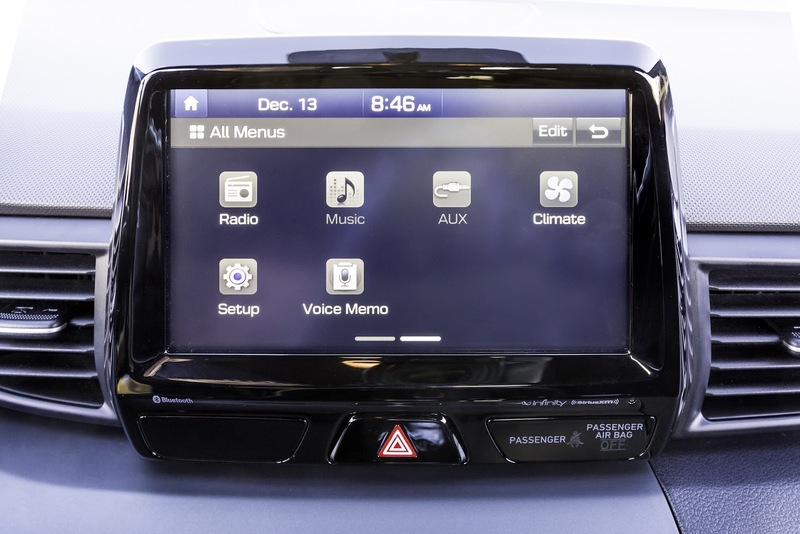 Whichever truck you choose, as long as it says RAM on the front and 1500 on the sides, you can benefit from features such as the 12″ touchscreen display with split-screen capability, the fourth-generation Uconnect system, a Harman Kardon premium audio system, 360-degree Surround View Camera, optional wireless charging, plus Android Auto and Apple CarPlay compatibility – with either of the two available touchscreens (8.4 or the 12-inch). 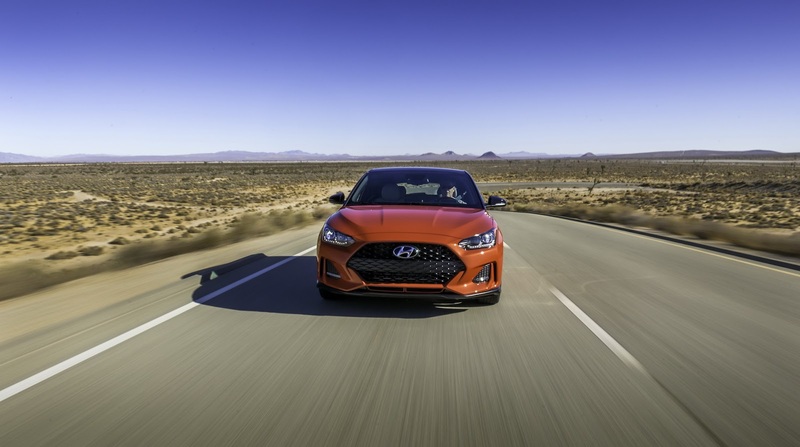 Safety tech includes Adaptive Cruise Control with Stop, Go and Hold, Forward Collision Warning, Ready Alert Braking, Lane Departure Warning and more. 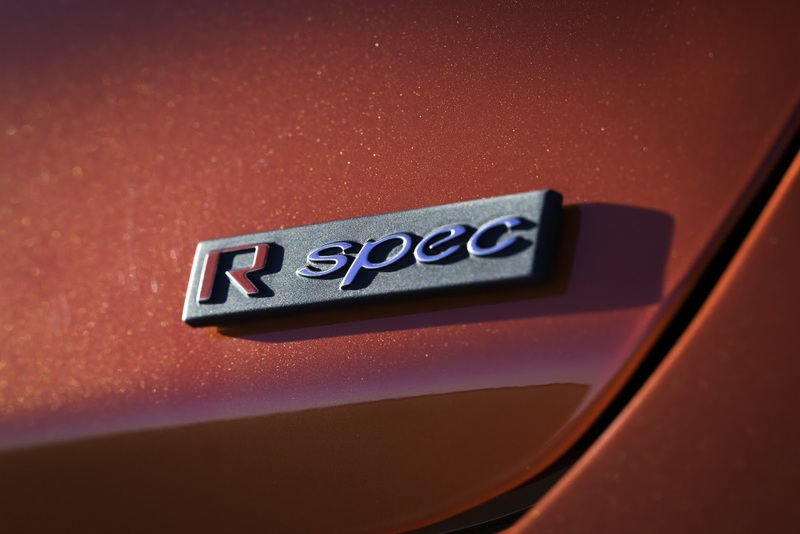 In total, the 2019 RAM 1500 has more than 100 safety and security features. 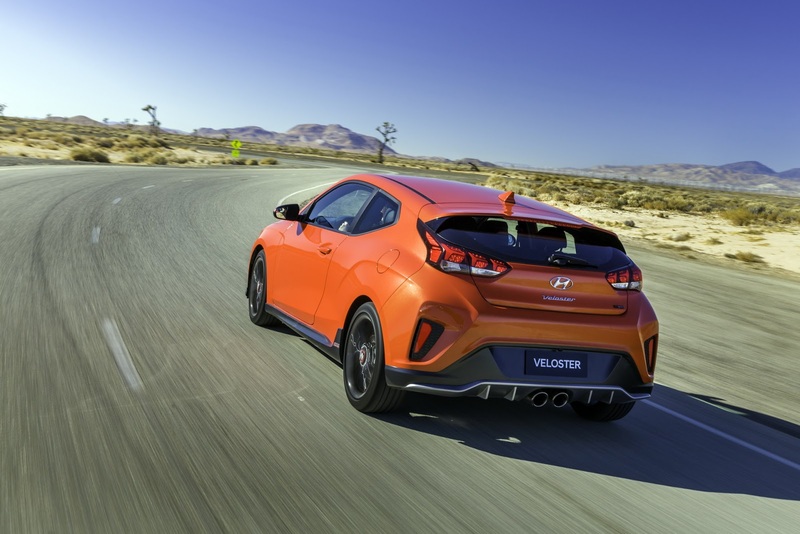 The second product coming from Hyundai N, after the i30 N, is the performance variant of the new Veloster that was presented today at the Detroit Auto Show. 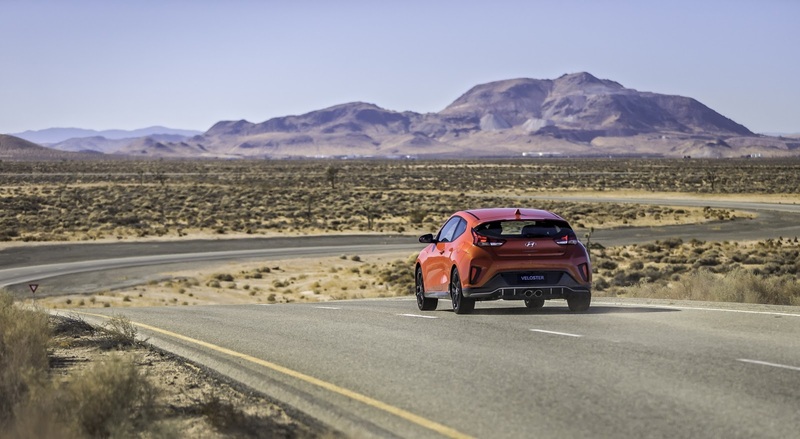 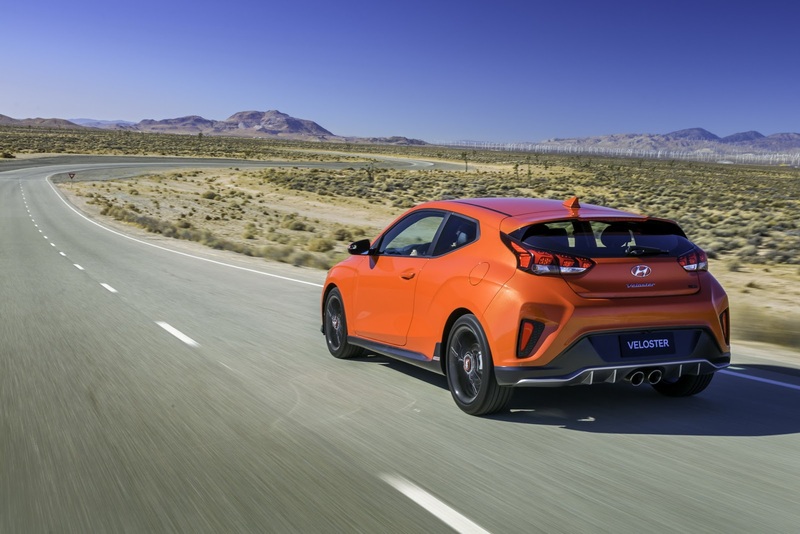 It uses the same engine as the hot hatch, a 2.0-liter turbocharged unit that boasts 275 horsepower and 260 pound-feet (353Nm) of torque, and works together with a six-speed stick shift. 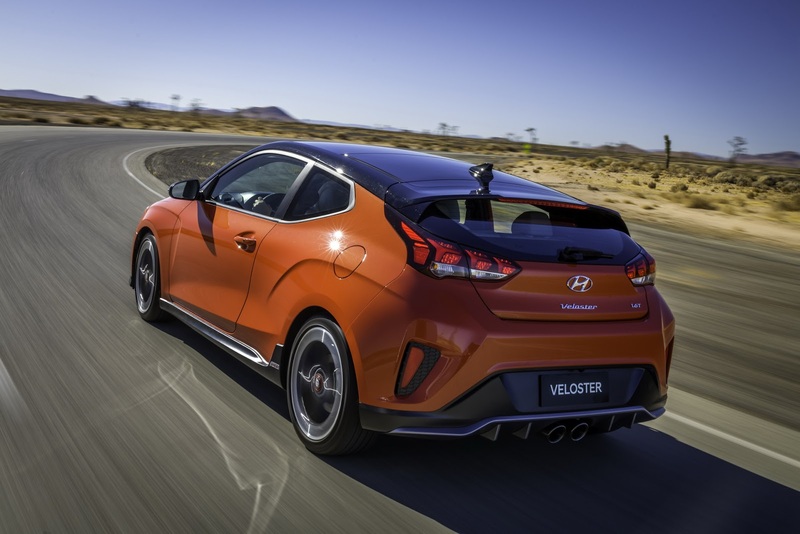 Hyundai haven’t released any performance specs yet, but it’s clear that the new Veloster N should come pretty close to the i30 N’s 0-62mph (100km/h), which takes 6.1sec in its range-topping form. 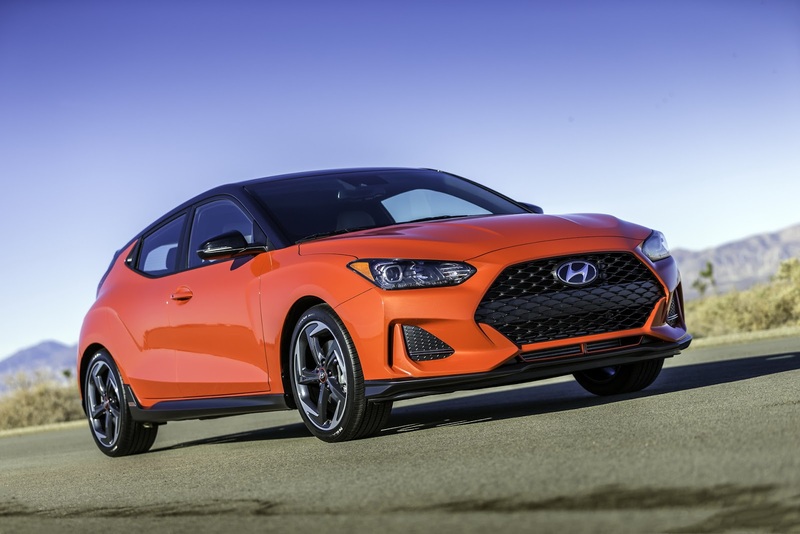 The new Hyundai Veloster N should be pretty fun to drive on a twisty road, as it gets optimized geometry for linear torque build up and corner-exit precision, decreased roll angle, unobtrusive rear strut brace that reinforces the rear multi-link suspension mounting points, and a special track-focused N driving mode. 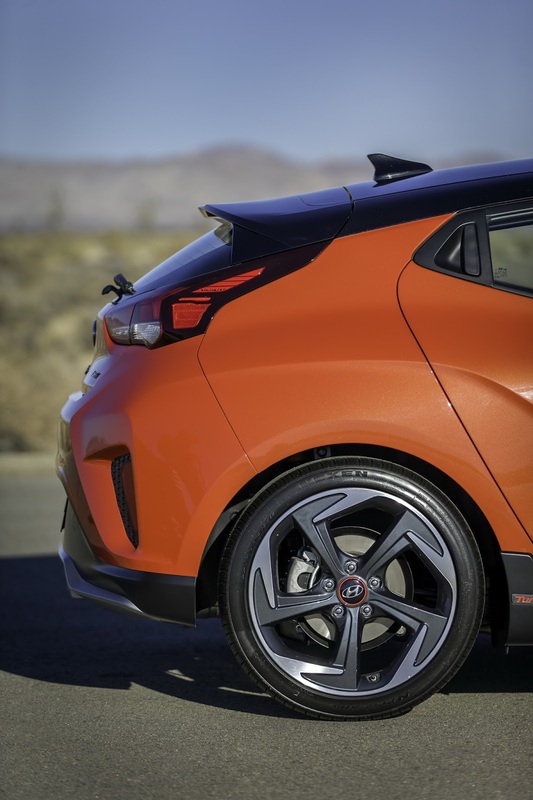 An electronically controlled limited-slip differential improves the grip furthermore, whereas stopping power comes from 13-inch front and 11.8-inch rear brake discs, with 13.6-inch front and 12.4-inch rear ones available. 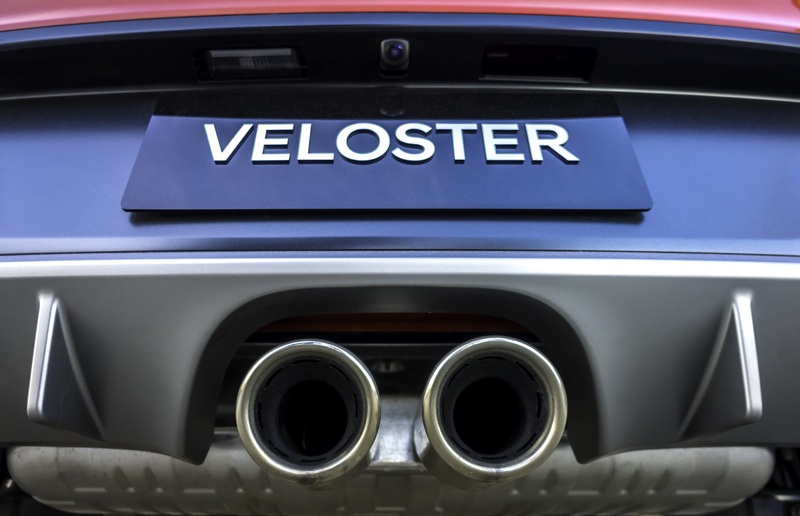 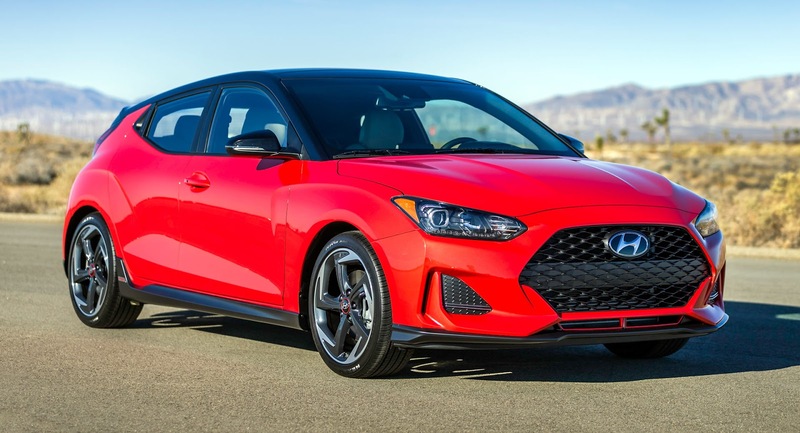 Looking at the 2019 Hyundai Veloster N from the outside reveals chunkier front and rear bumpers, different grille and side skirts, roof-mounted spoiler, and rear diffuser that houses the dual exhaust pipes. 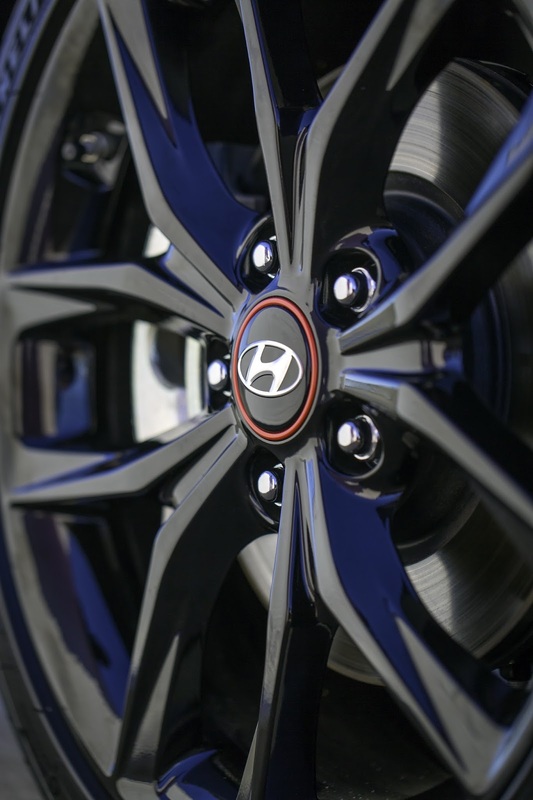 Buyers will be able to choose between four exterior colors in the United States, called Ultra Black, Chalk White, Racing Red, and N-exclusive Performance Blue, alongside 18- or 19-inch alloy wheels, wrapped in 225/40 Michelin Pilot SuperSport or 234/35 Pirelli P-Zero rubber, respectively. 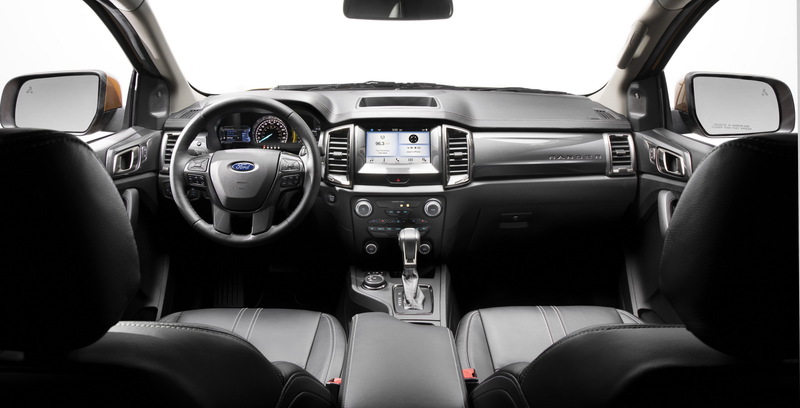 Exclusive front sport seats, special steering wheel and shift knob, N-logo door sill plates, N-design instrument cluster, and blue accent theme remind users of the car’s sporty character inside. 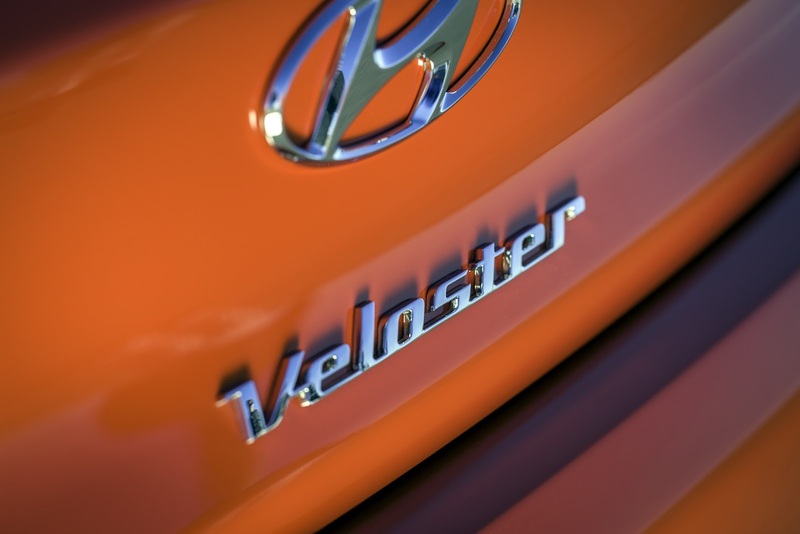 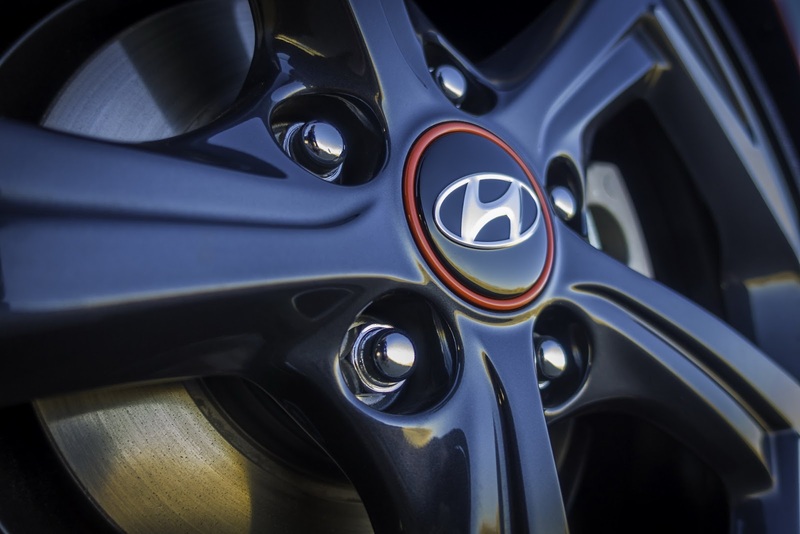 Hyundai will launch the 2019 Veloster N in the United States in the fourth quarter of the year, and all cars will be assembled in Ulsan, Korea, from September 2018. 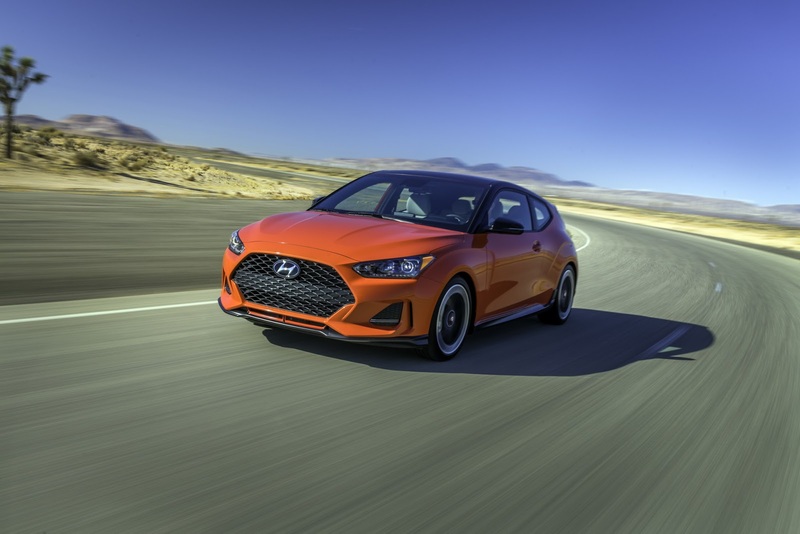 Hyundai revealed the new generation of the Veloster at the Detroit Auto Show, bringing a fresh design to match its quirky bodystyle. 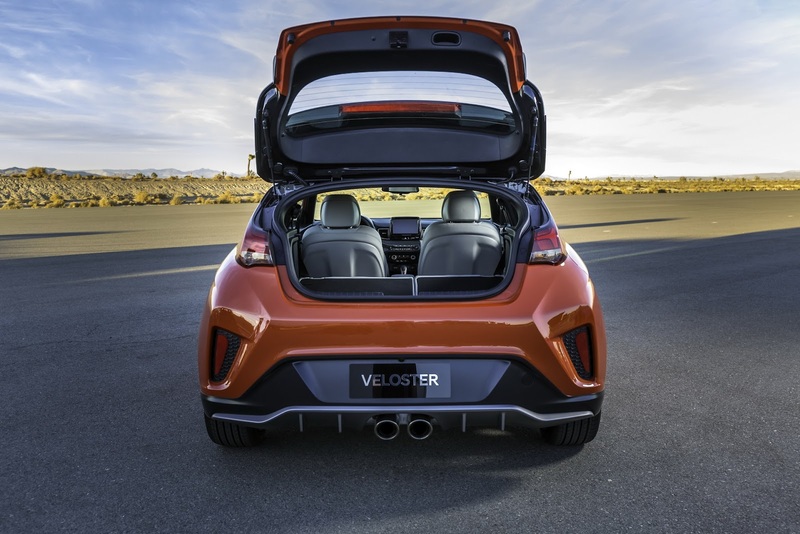 The new Hyundai Veloster feature the same, two-plus-one configuration known from its predecessor, having an additional passenger rear door for easier rear-seat access. 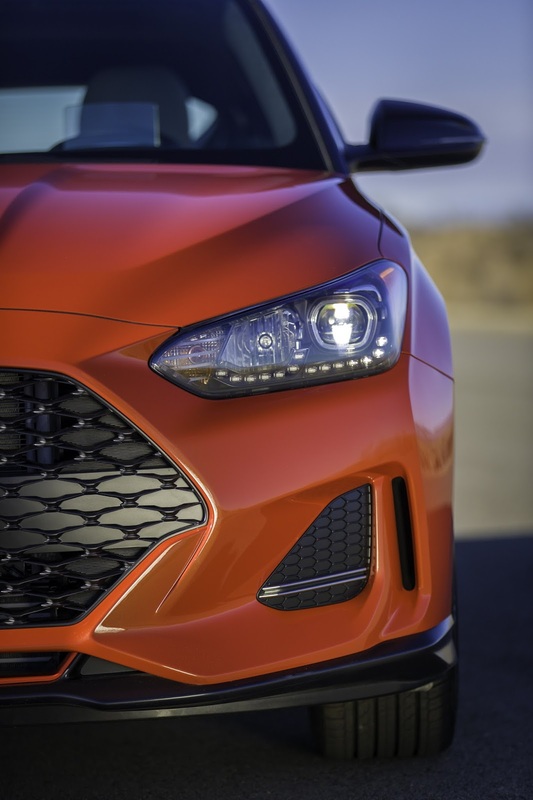 The front end is dominated by the bold new grille design while the rear end features a big diffuser with twin tailpipes coming out of the middle. 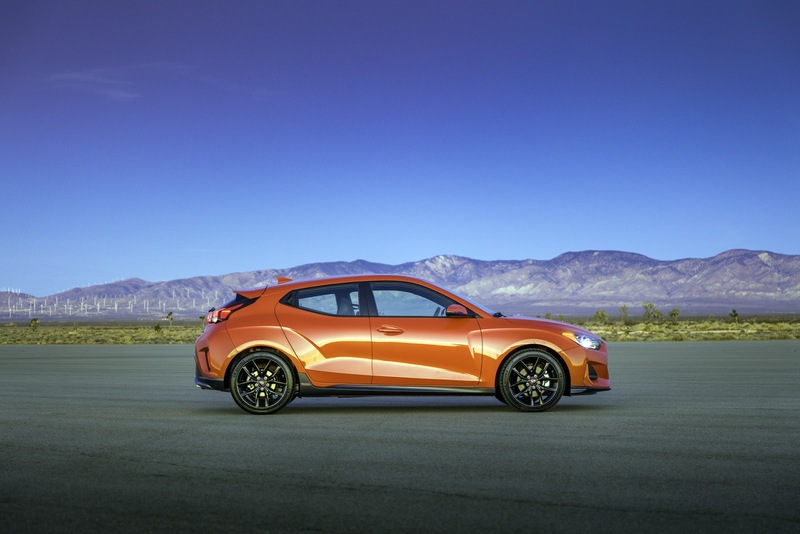 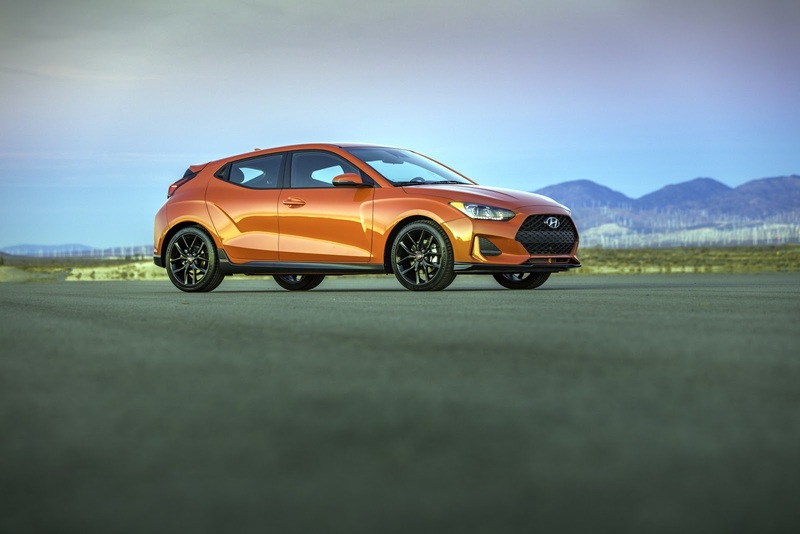 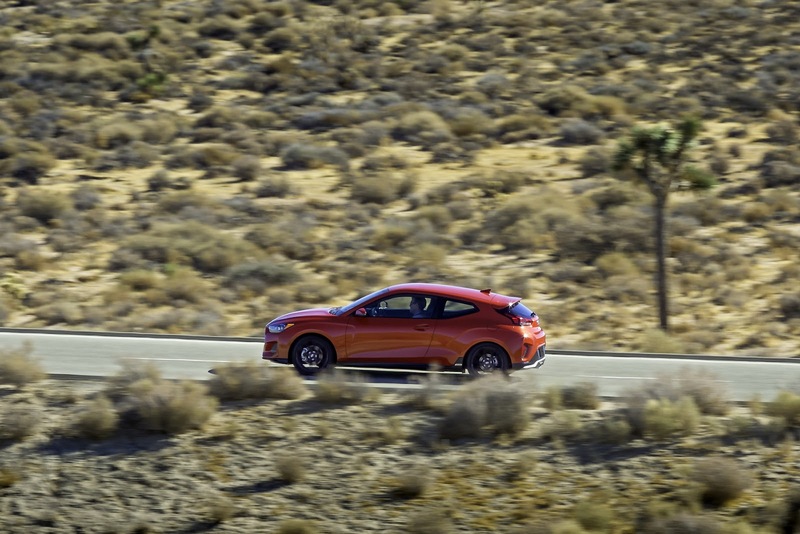 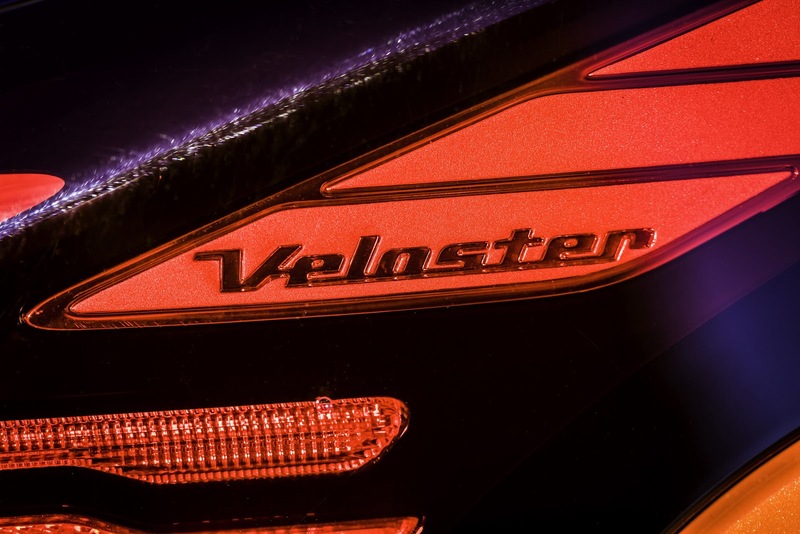 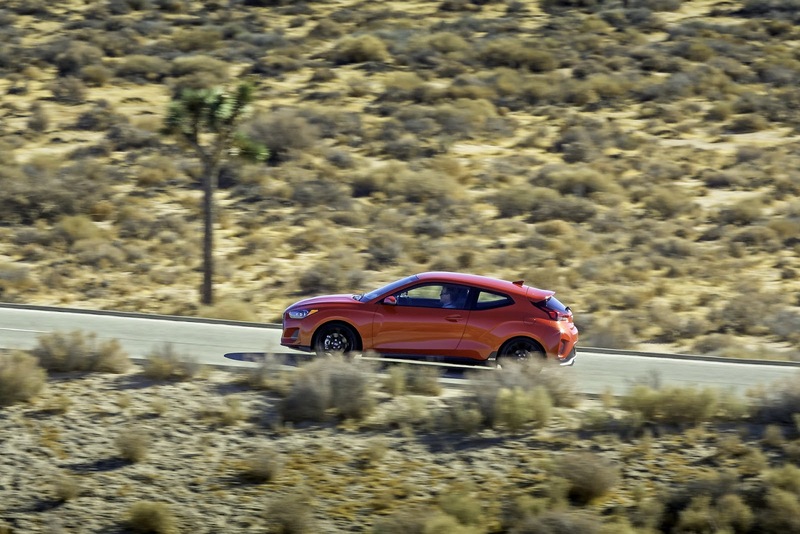 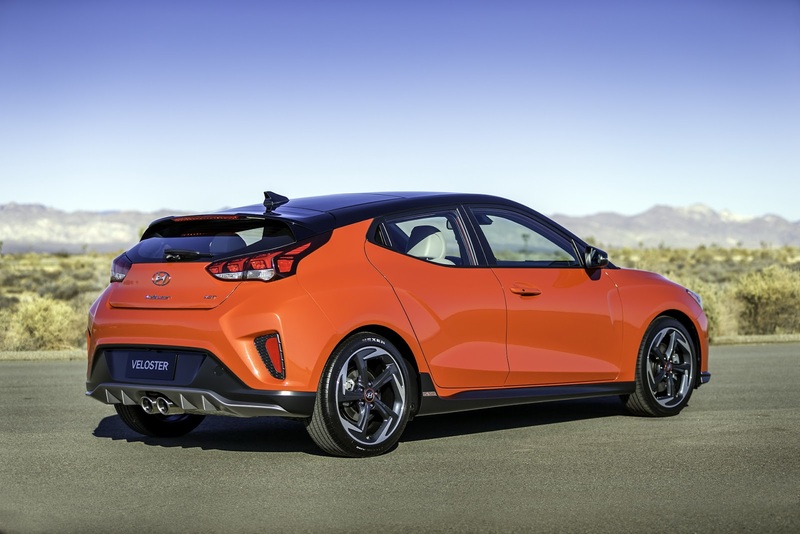 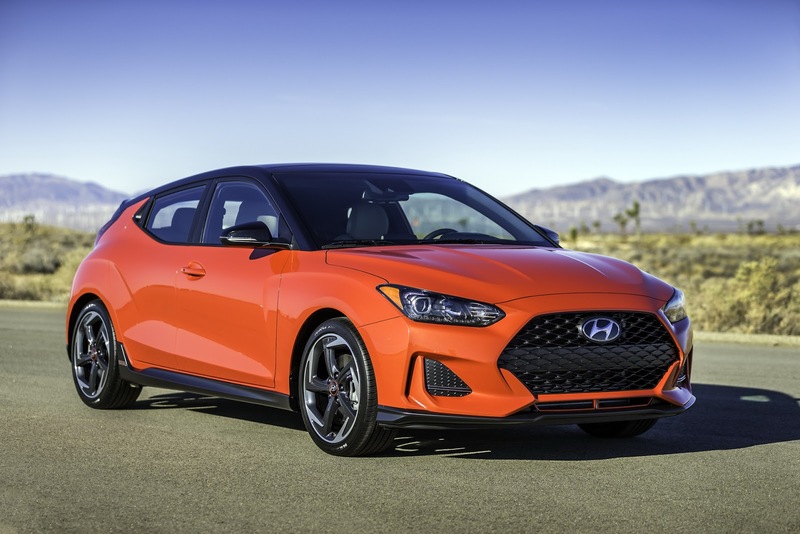 Base Veloster models will be available with a 2.0-liter four-cylinder engine that makes 147hp and 132lb-ft of torque that’s paired to either a six-speed manual or an optional six-speed automatic transmission. 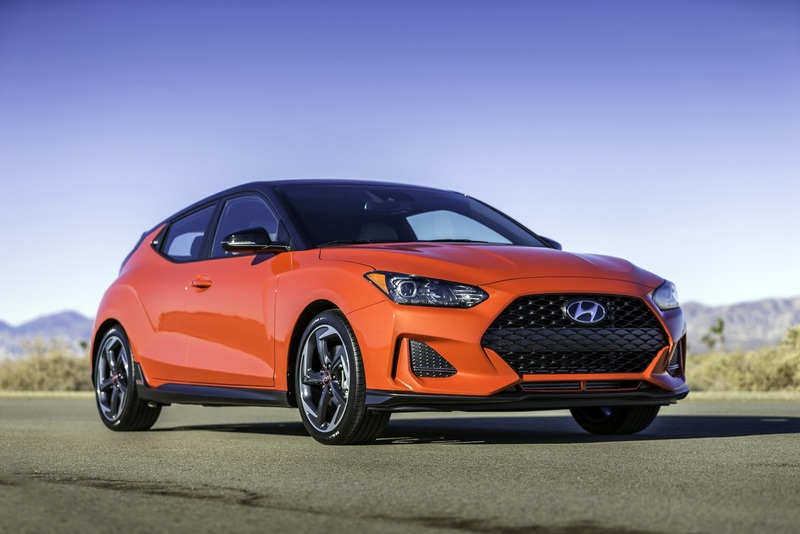 Go for the faster Veloster Turbo and then you get a turbocharged 1.6-liter four-cylinder with 201hp and 195lb-ft of torque. 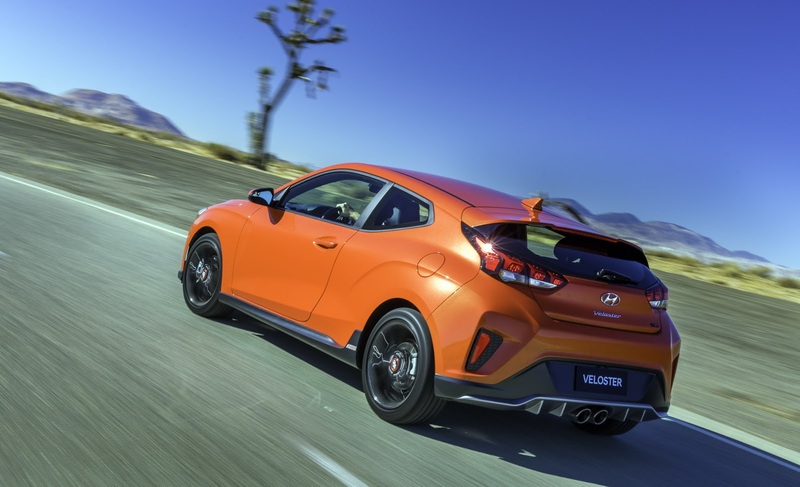 There’s an overboost function too, which raised peak torque to 202lb-ft. Customers will be able to choose between a manual six-speed or a seven-speed dual-clutch transmission. 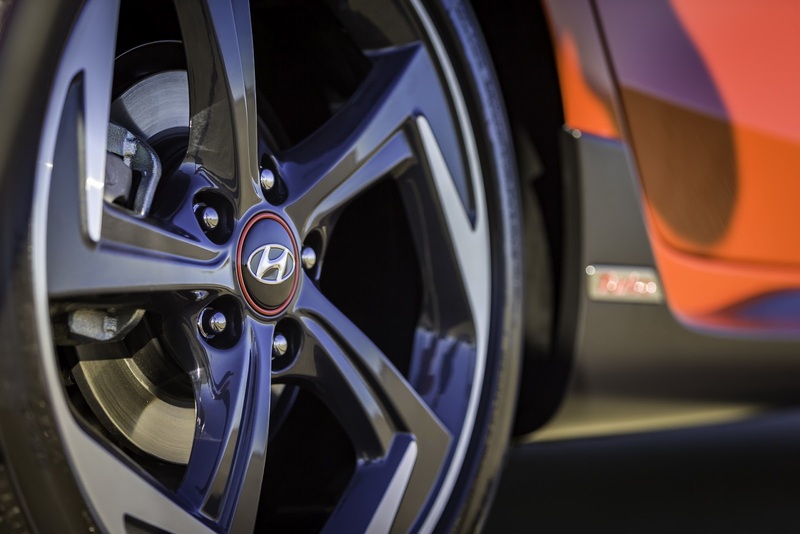 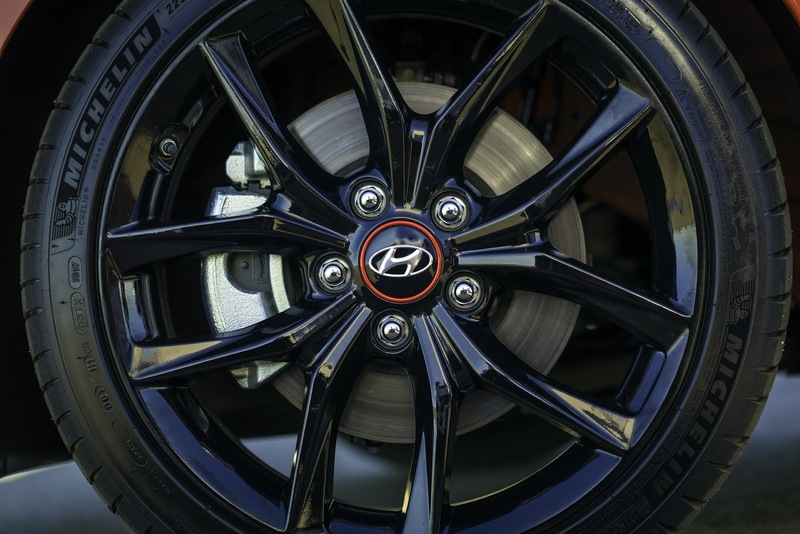 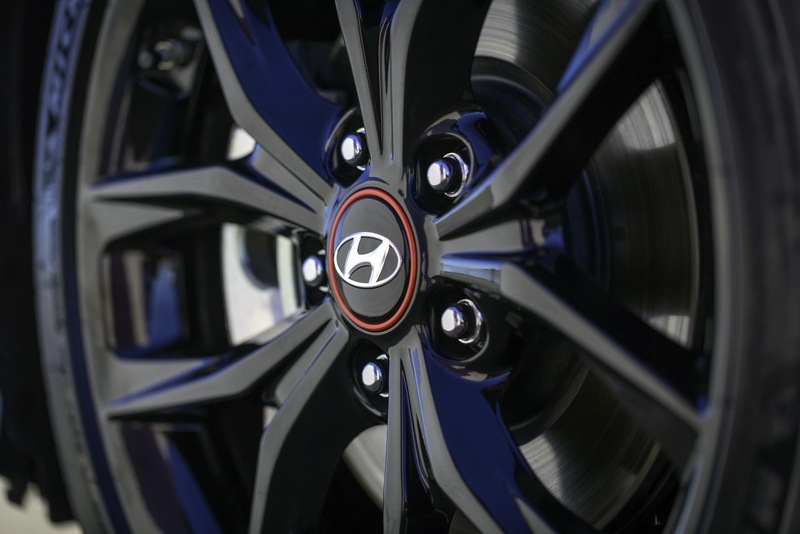 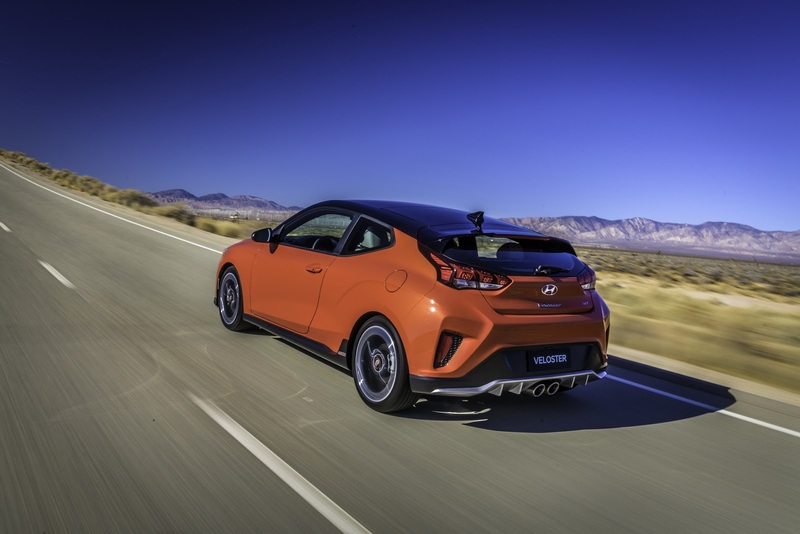 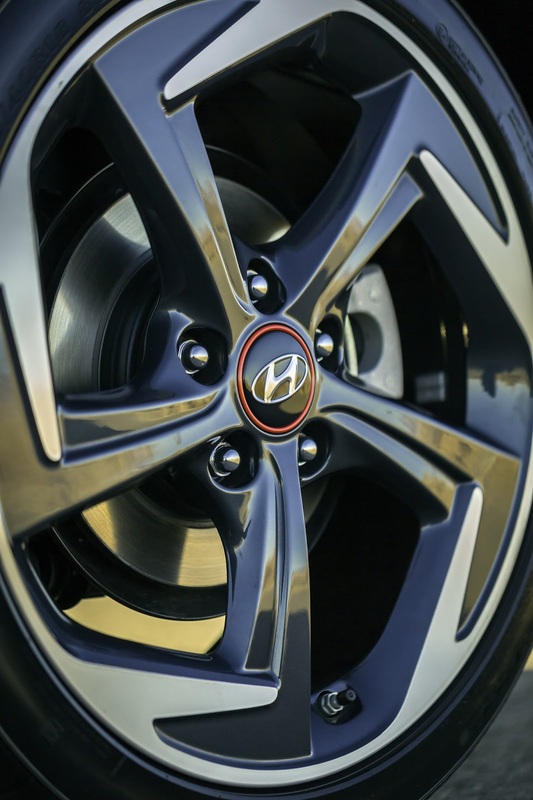 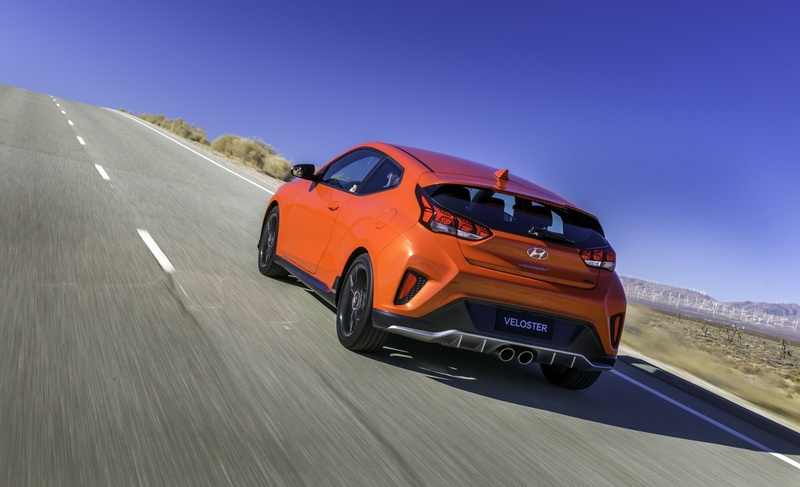 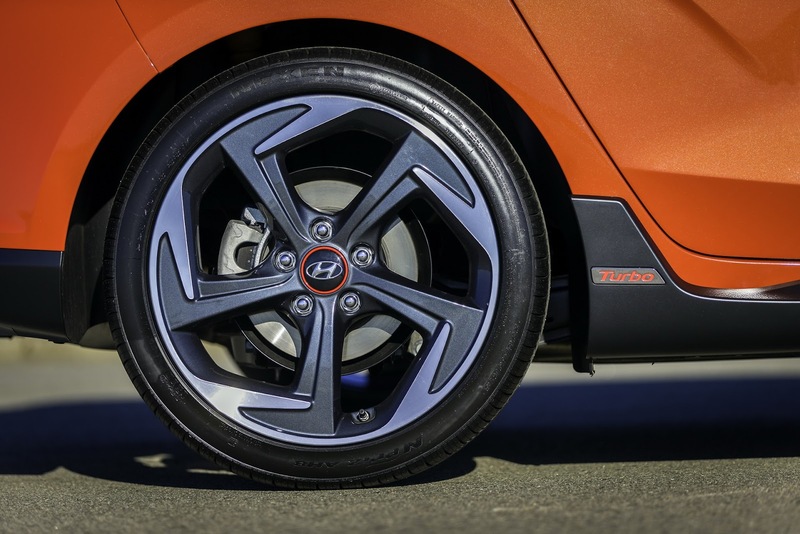 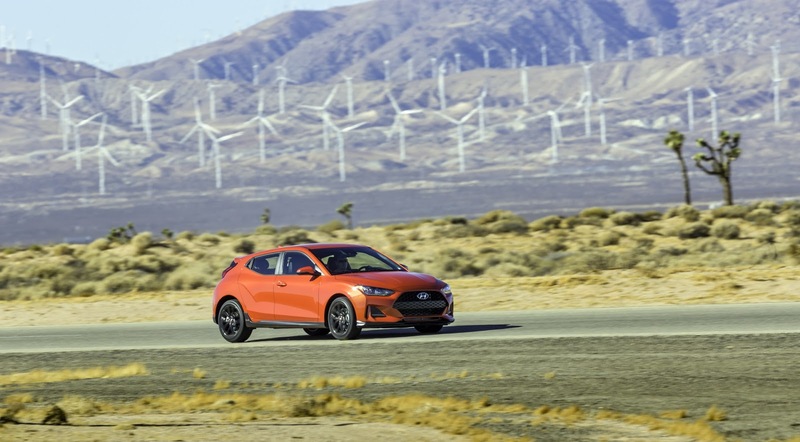 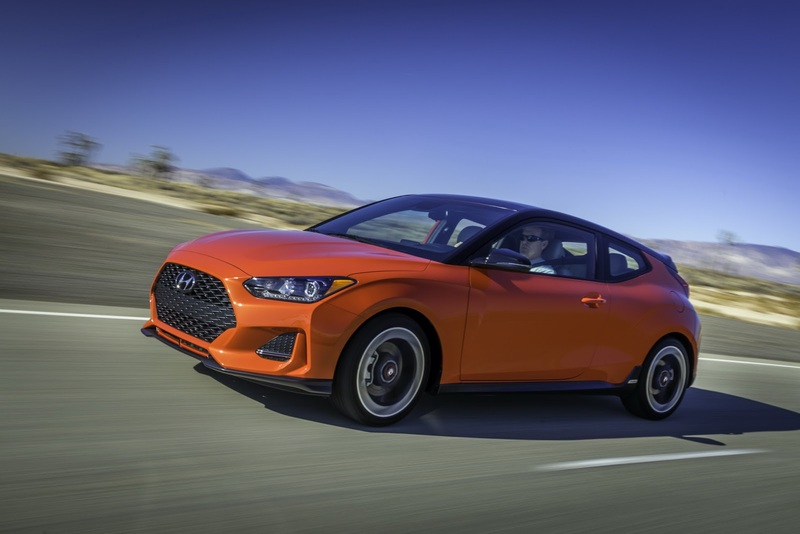 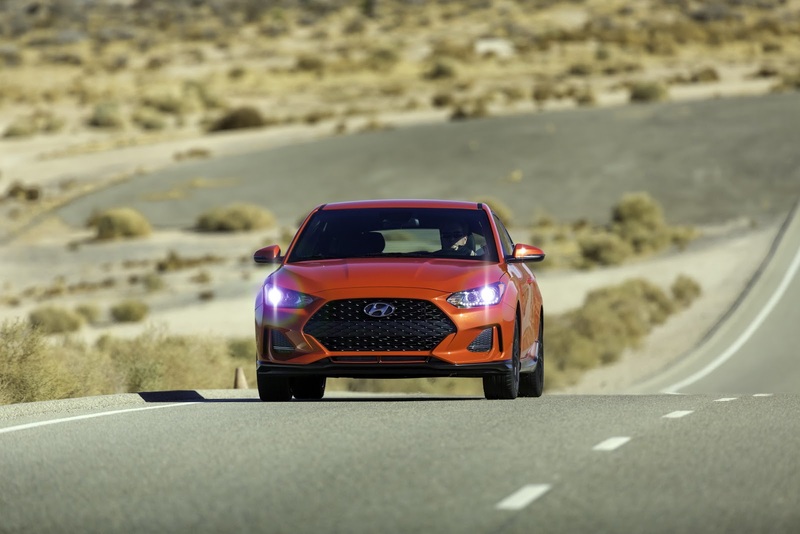 All models of the new Hyundai Veloster come with Torque Vectoring Control, which operates through the electronic stability control and wheel-speed sensors to apply precise braking in order to improve handling. 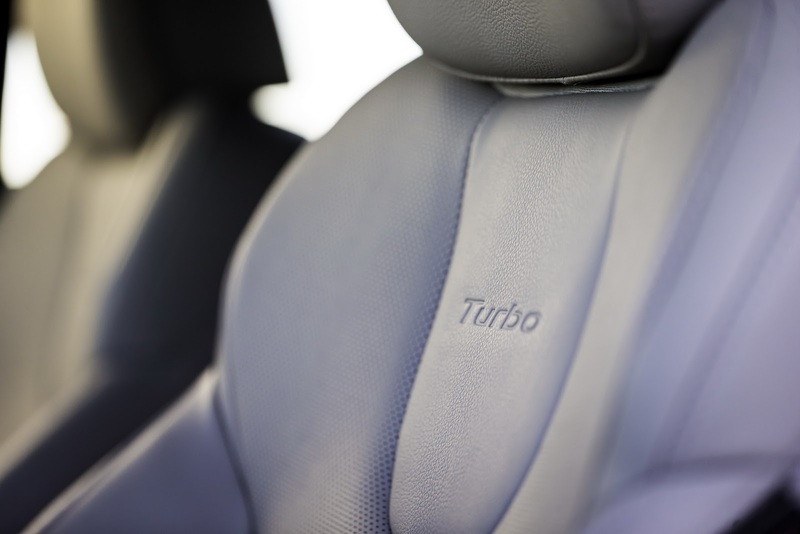 Turbo models also get a quicker-ratio steering rack with revised calibration to match the higher performance. 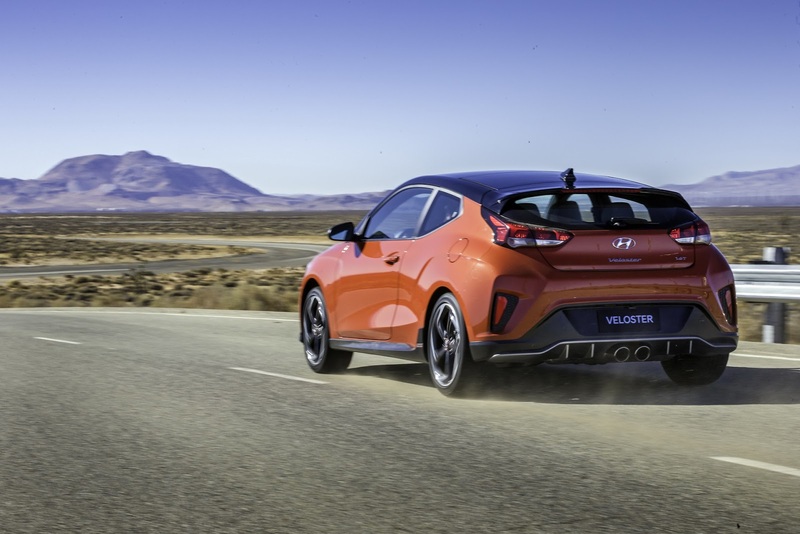 The new Veloster Turbo also gets a 24mm front stabilizer bar with the rear multilink suspension featuring a 19mm stabilizer bar to further control body roll. 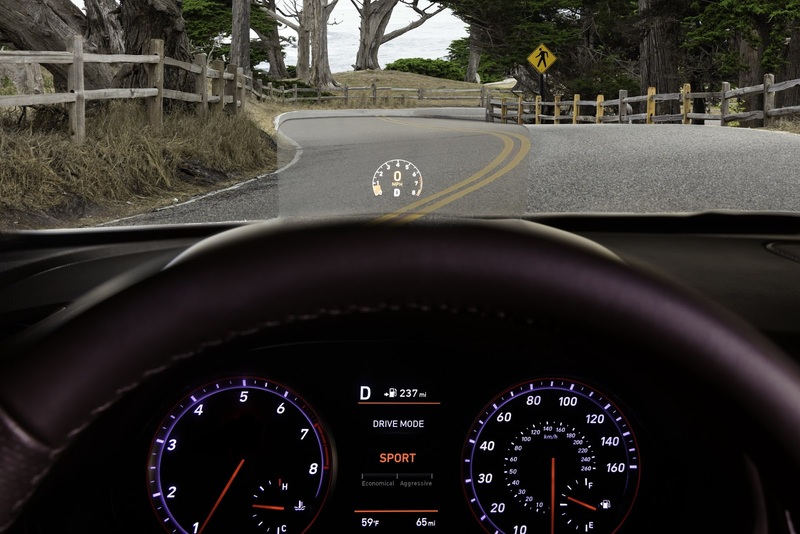 The range of driver-assist systems includes Forward Collision-Avoidance Assist, Lane Keeping Assist, High Beam Assist for the available LED headlights, and Driver Attention Warning. 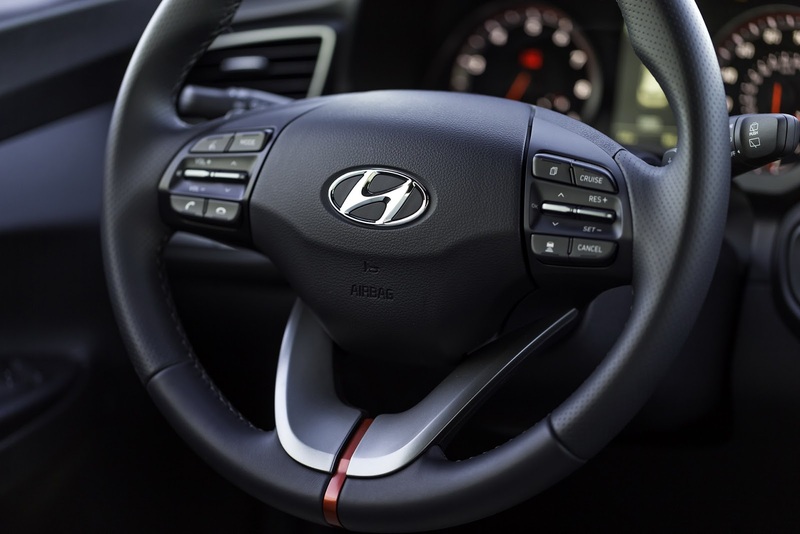 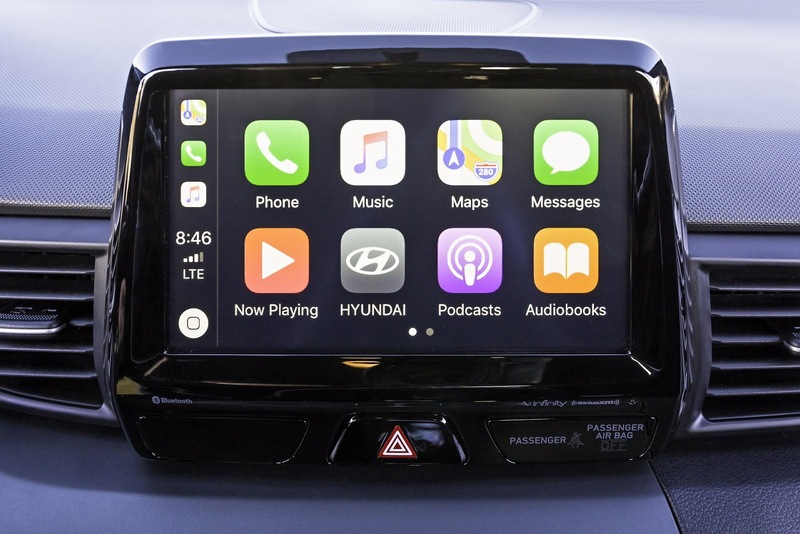 Inside, the new Hyundai Veloster comes with an eight-inch infotainment system with Android Auto and Apple Car Play, rearview camera, wireless charging for mobile devices, a head-up display and the company’s Blue Link connected services. 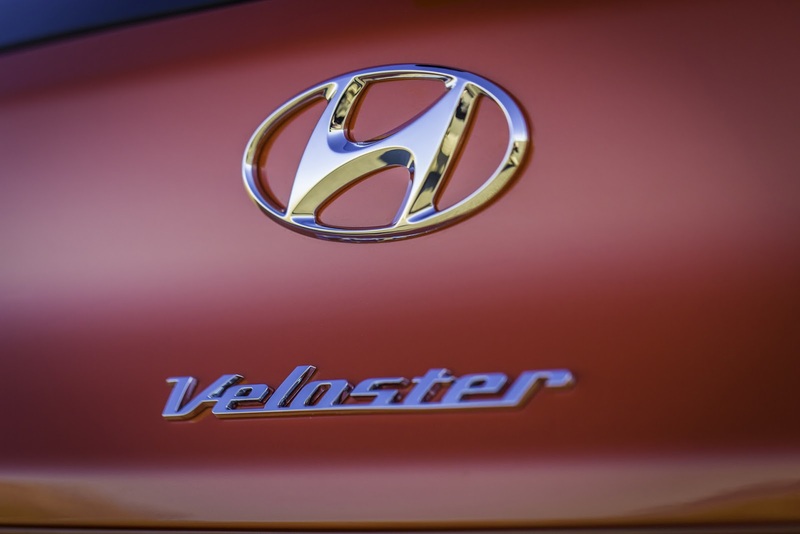 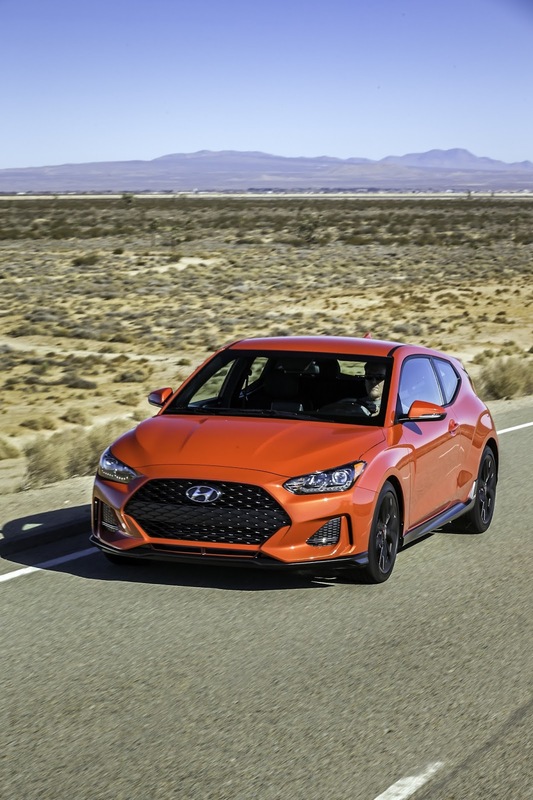 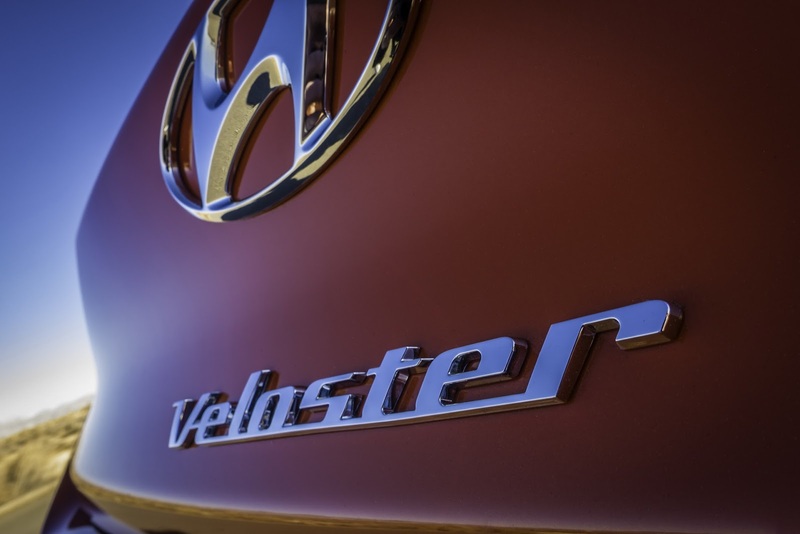 Production of the 2019 Hyundai Veloster begins this March in Korea, with the first US-spec cars to become available during the second quarter of 2018. 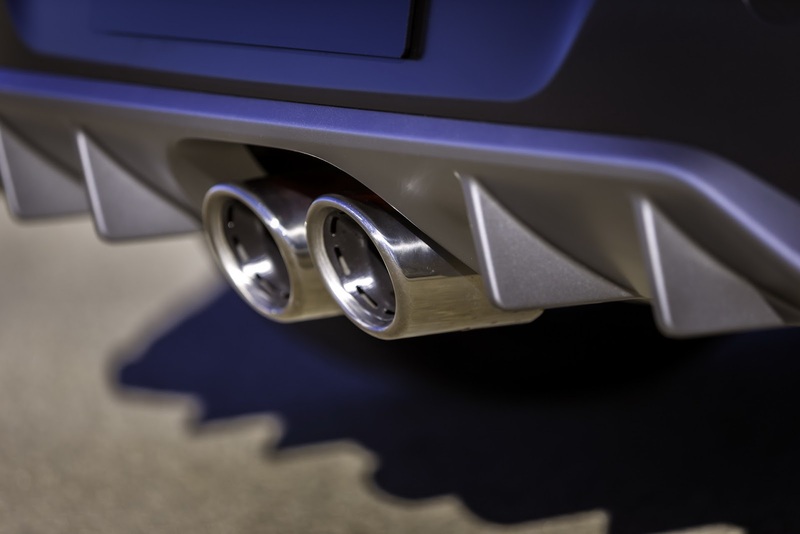 Fans of the Mercedes-Benz G-Class have probably noticed that theSUV’s exterior design hasn’t changed much since 1979. 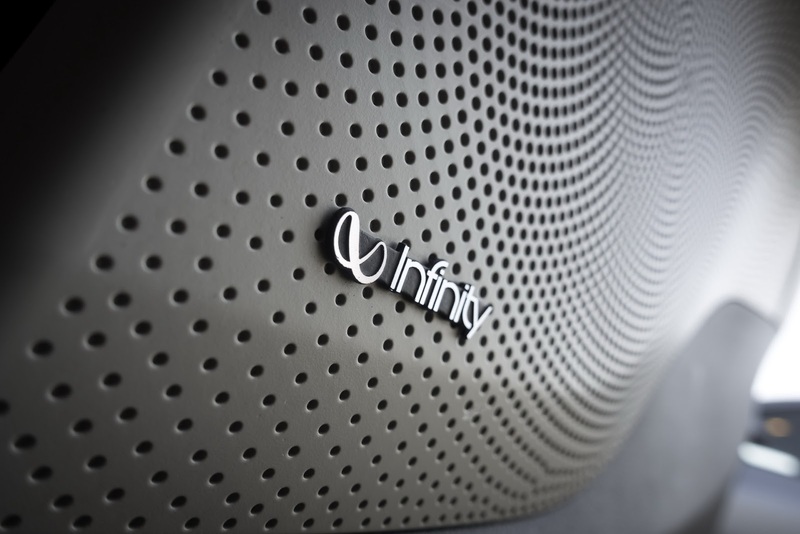 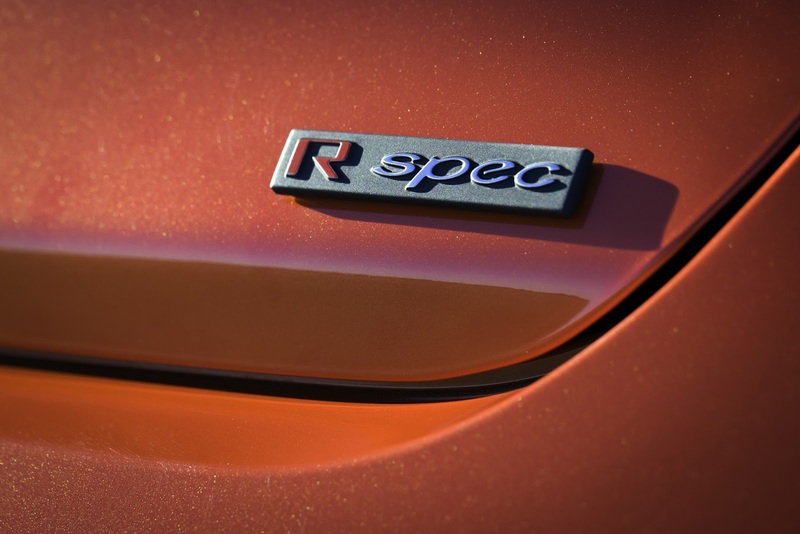 It not only makes its nameplate iconic, but its form factor as well. 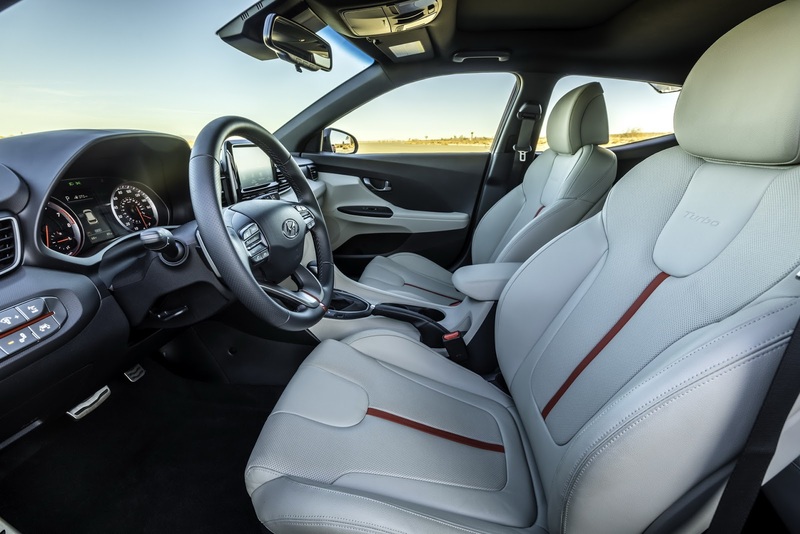 So what Mercedes has done for this new generation model, unveiled at NAIAS 2018, is that they’ve tried to give it more road presence by making it longer and wider, then adding a fundamentally modern interior, while still reflecting the overall aesthetic of the exterior. 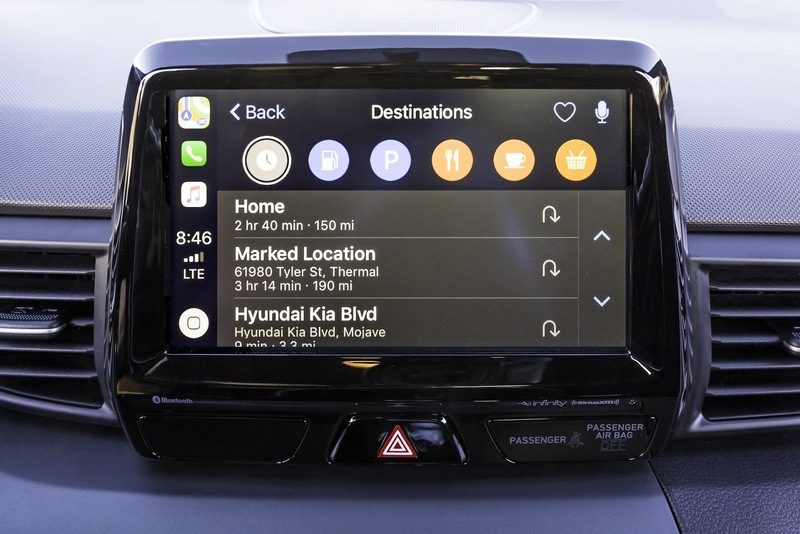 So if you like what you saw in the new E-Class and S-Class, you will undoubtedly appreciate the instrument cluster of the G-Wagen as well, thanks mostly to the two 12.3″ displays sharing a glass cover. 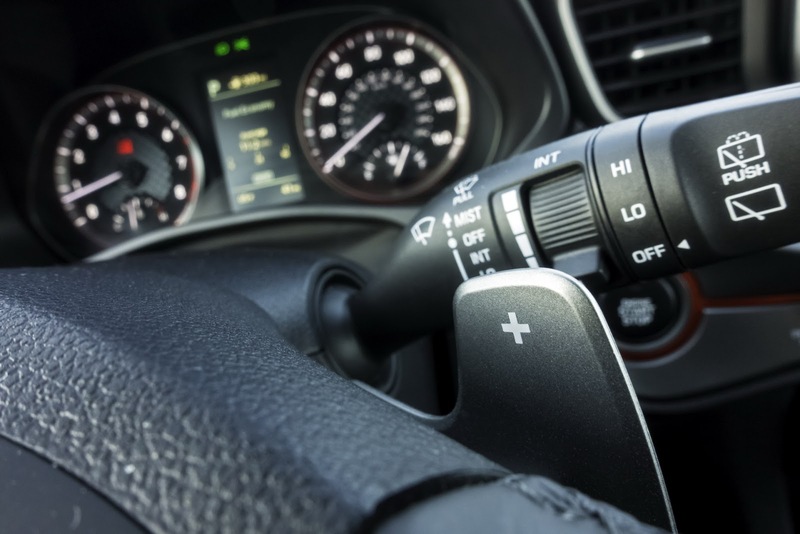 All the buttons and switches have been borrowed from modern-day Mercedes models. 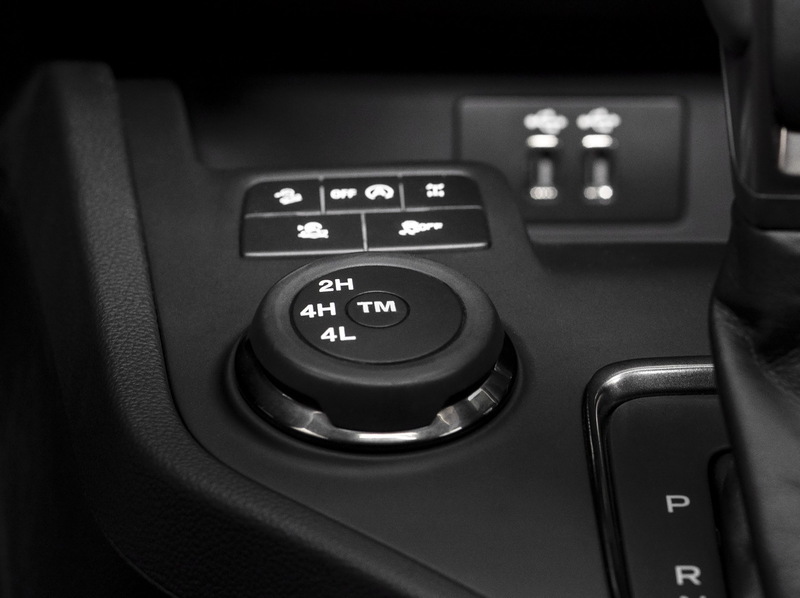 If you recall, the old G-Class had the same buttons and steering wheel found on the pre-facelifted GLE (aka the M-Class). 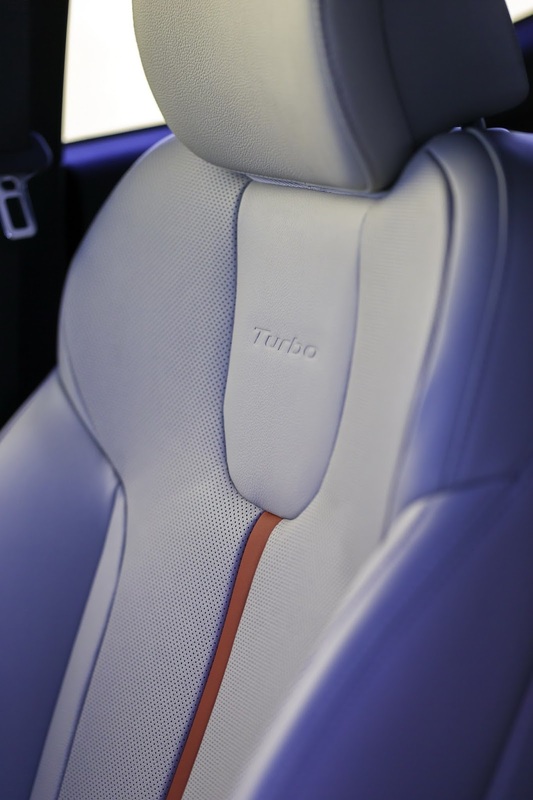 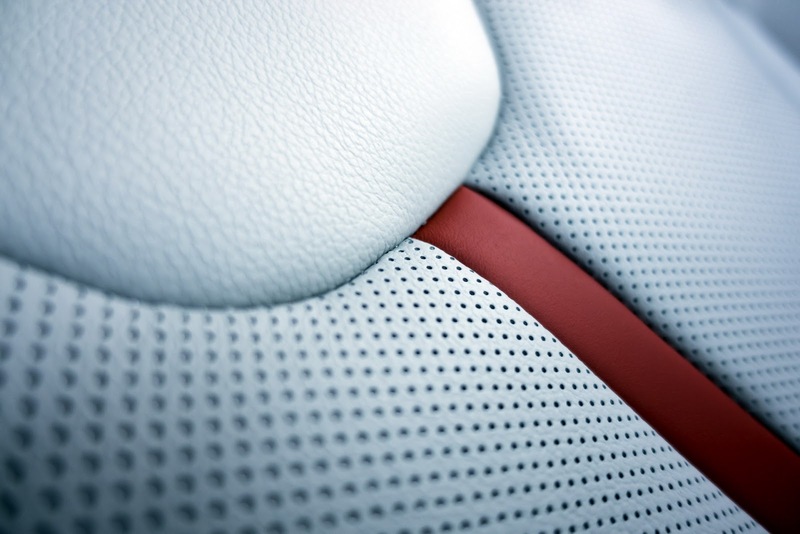 Still, if the styling changes aren’t enough for you, then consider all the modern-day optional extras available – such as the 16-speaker Burmester sound system, designo leather upholstery or the Active Multicontour Seat package (heating, ventilated and massage functions). 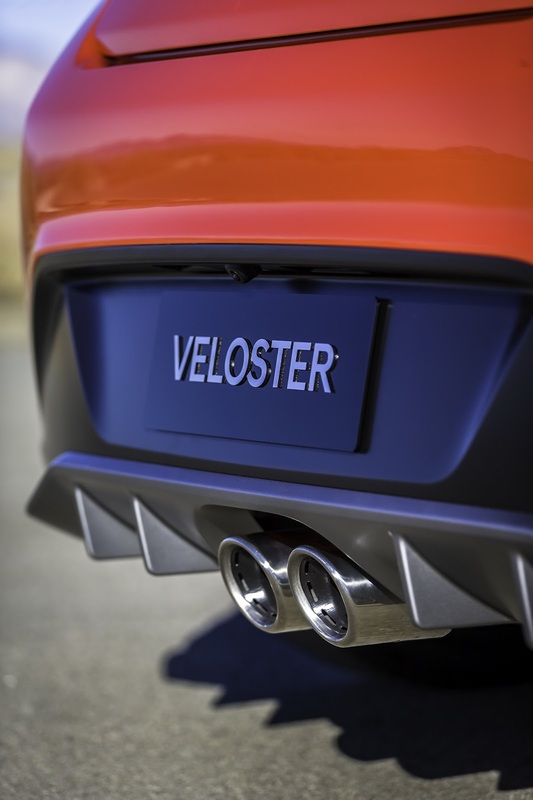 It’s the equivalent of having your cake and eating it too in the world of luxury off-roaders. 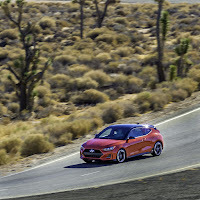 As for what it can do on the move, the launch model packs a 4.0-liter twin-turbocharged V8 engine, producing 416 HP (421 PS) and 450 lb-ft (609 Nm) of torque. 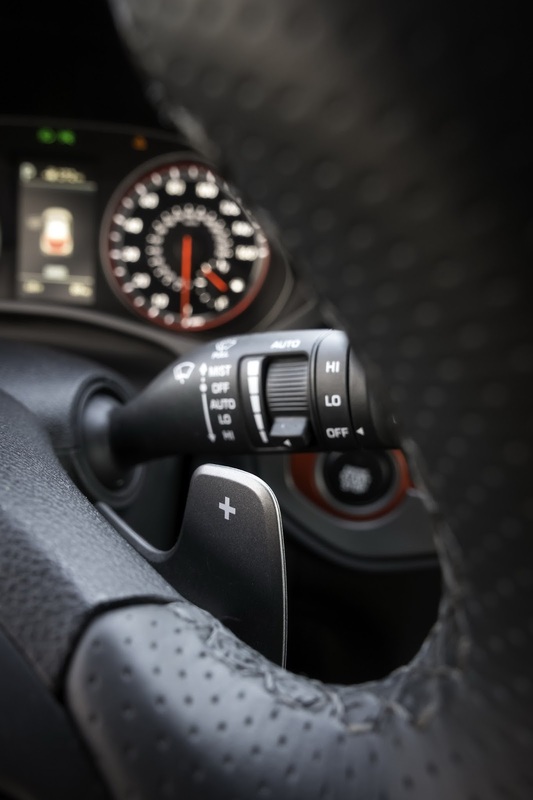 But since straight line speed has never been the G-Class’ forte, you’ll be relieved to know that the 2019 model features a ladder-type frame, new independent front and rear suspensions, and three 100% differential locks. 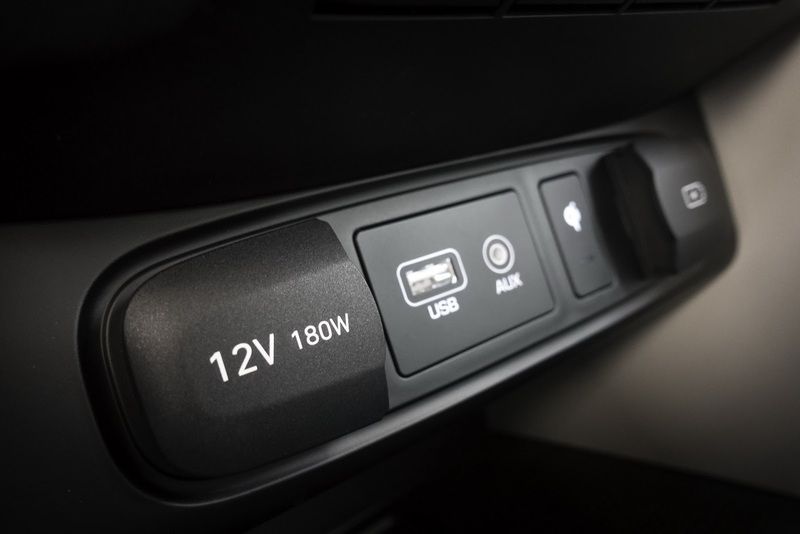 The all-new G-Wagen will go on sale in the U.S. later this year, when it will undoubtedly prove extremely popular with celebrities, just like all the previous generations. 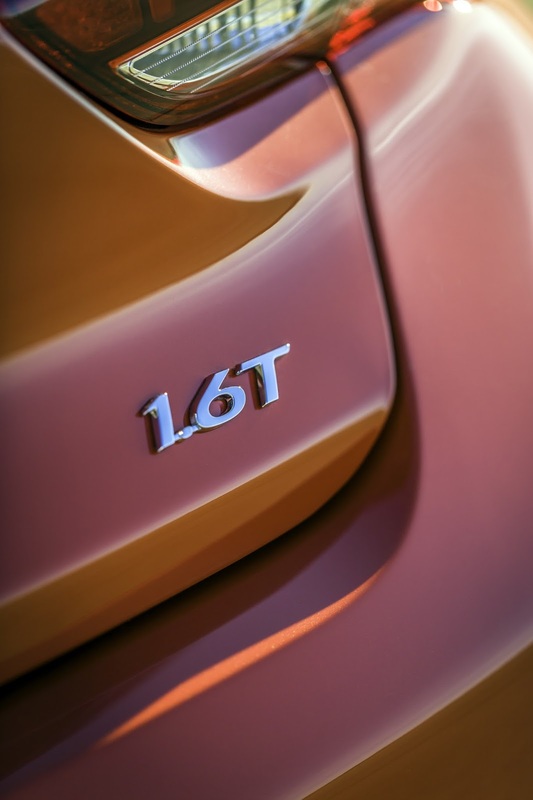 What’s your take on the new generation of the G-Class? 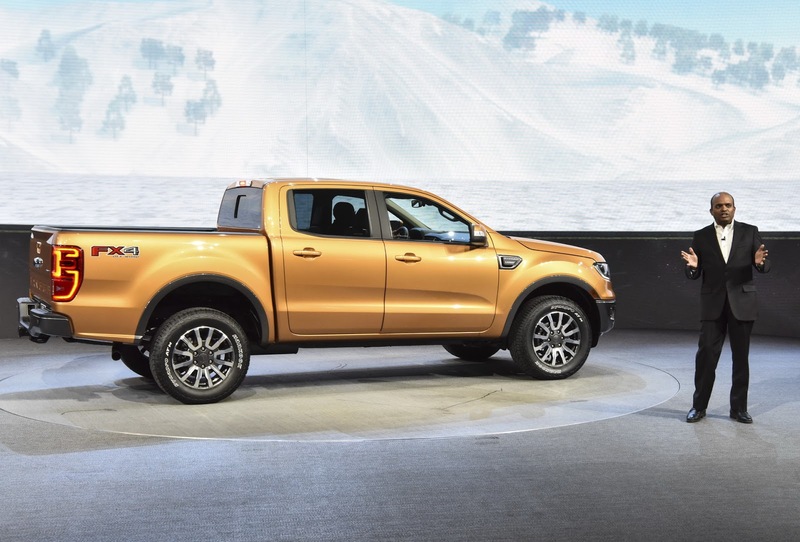 Ford has revealed the hotly-anticipated Ranger midsize pickup truck at the Detroit Auto Show. 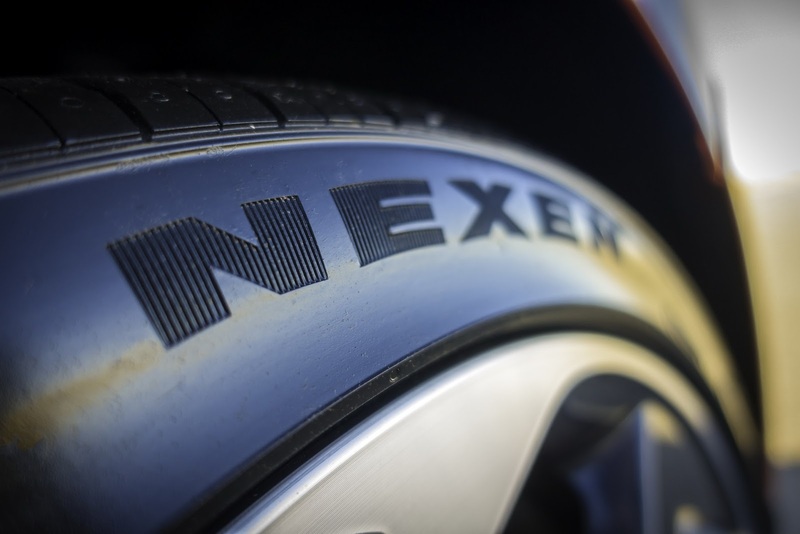 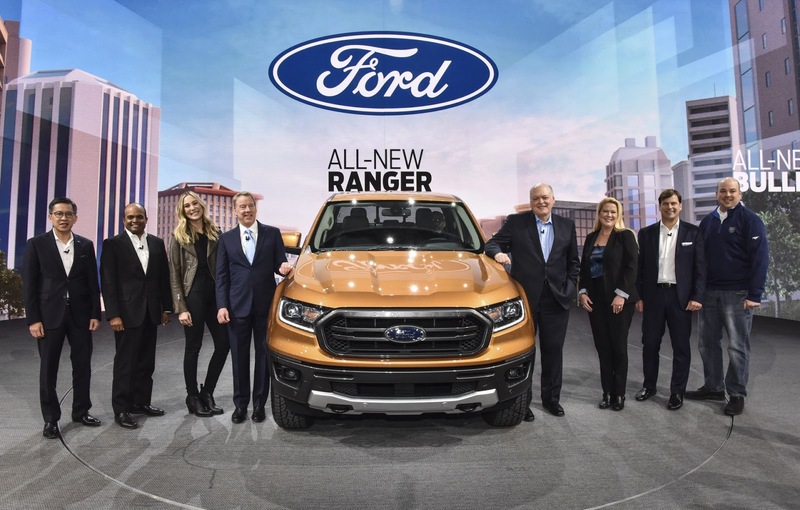 Fueled by the growing demand for midsize trucks in the US, Ford developed the new Ranger specifically for North American customers, making it also the first time the Ranger nameplate is offered in these parts of the world since 2011. 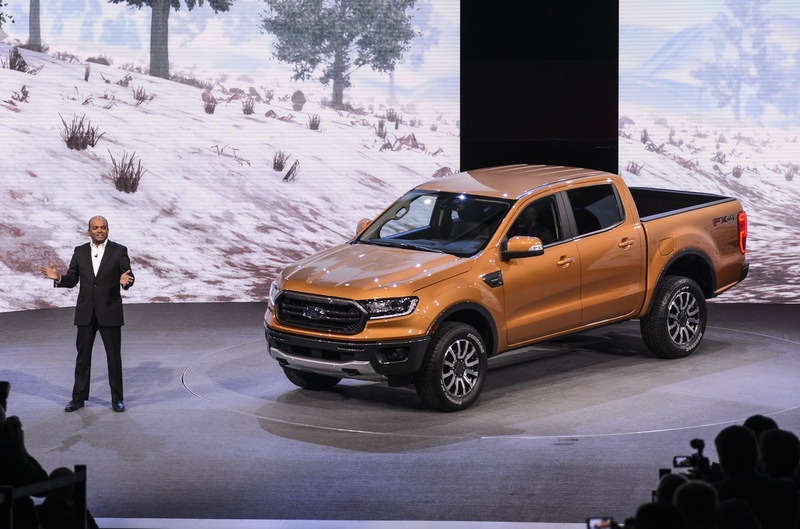 Based on a steel frame, the new Ford Ranger comes with an independent front and a solid rear axle from Dana on both 2WD and 4WD models, offering as an option an electronic-locking rear differential (standard on FX2 and FX4 models) for better off-road traction. Power is provided from the familiar 2.3-liter EcoBoost engine that’s upgraded with a forged-steel crankshaft and connecting rods, and chain-driven dual overhead cams for added durability. 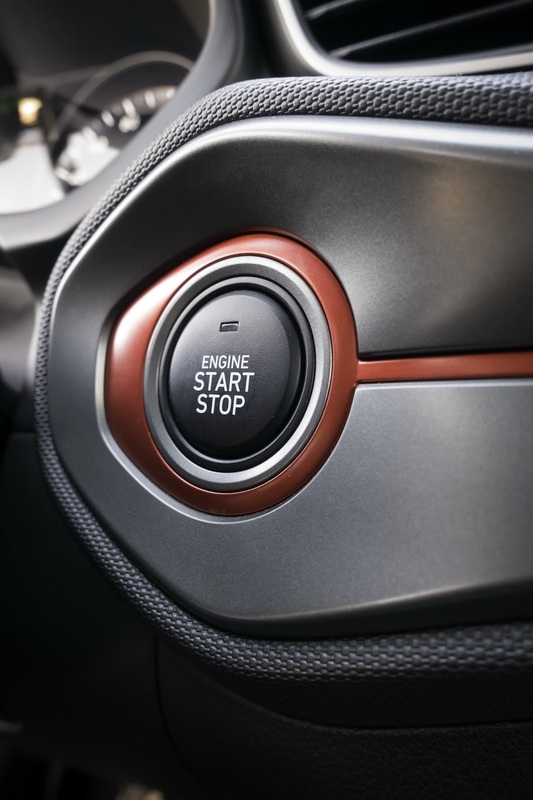 A 10-speed automatic gearbox is the only option and a class-exclusive feature. 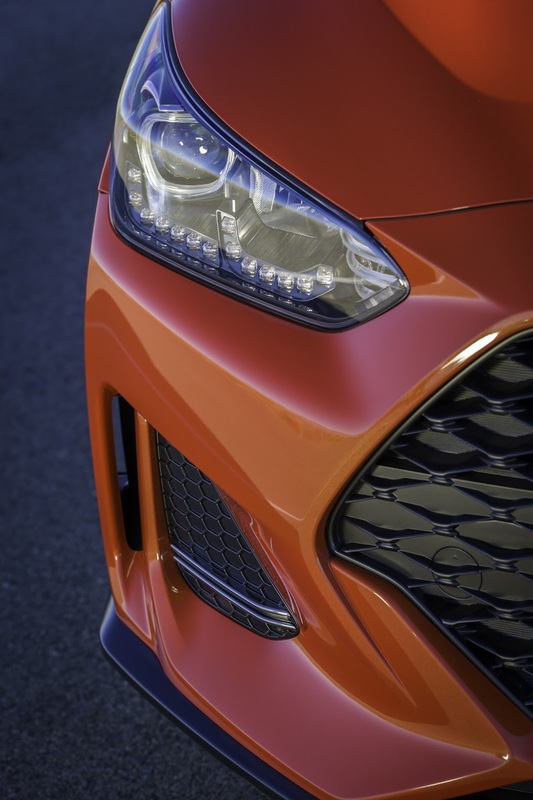 Ford hasn’t released any performance figures yet. 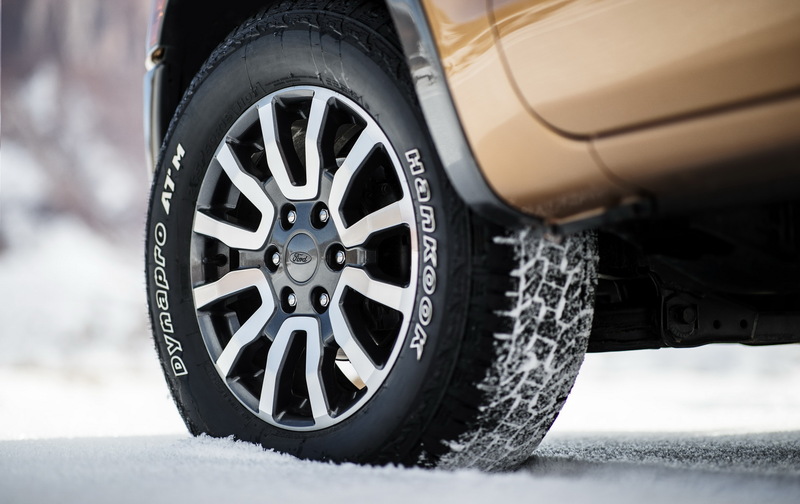 If off-road performance is important to you, Ford will offer the new Ranger with the FX4 Off-Road Package which features more capable shocks, all-terrain tires, a frame-mounted heavy-gauge steel front bash plate and skid plates and an innovative Terrain Management system with four different driving modes. 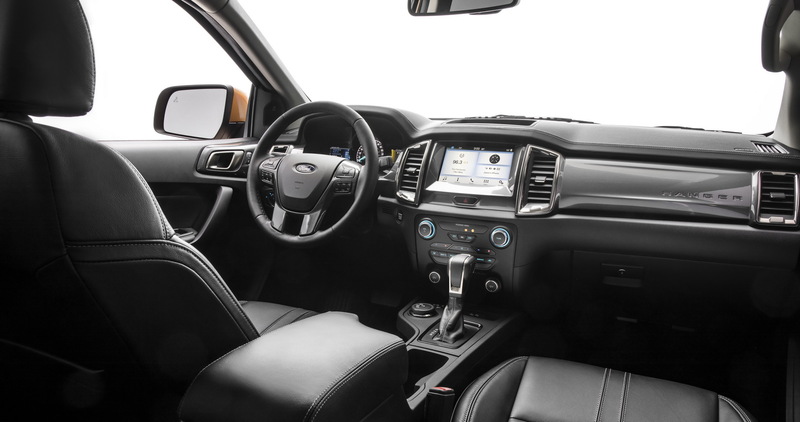 The FX4 pack also introduces Ford’s new Trail Control technology, which is like cruise control but designed for low speeds on rugged terrains. 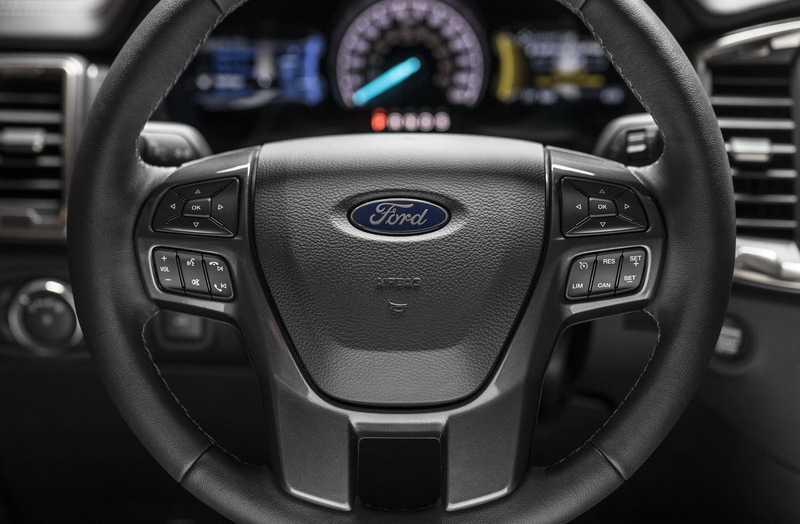 The new Ford Ranger will also offer a long list of driver-assist and safety systems, including Automatic Emergency Braking, Lane Keeping Assist, Lane Departure Warning, a Reverse Sensing System, Blind Spot Information System with trailer coverage, Pedestrian Detection and Adaptive Cruise Control. 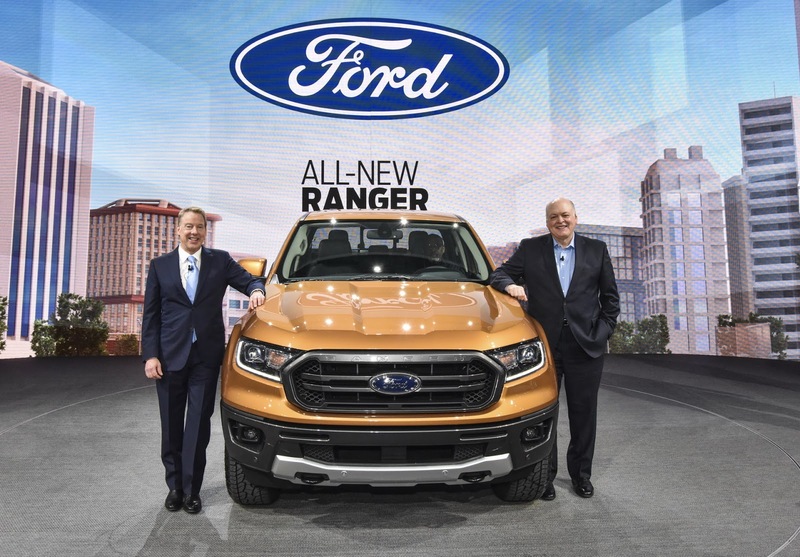 Production of the all-new Ford Ranger will start late this year at the company’s Michigan Assembly Plant, with sales set to begin in early 2019. 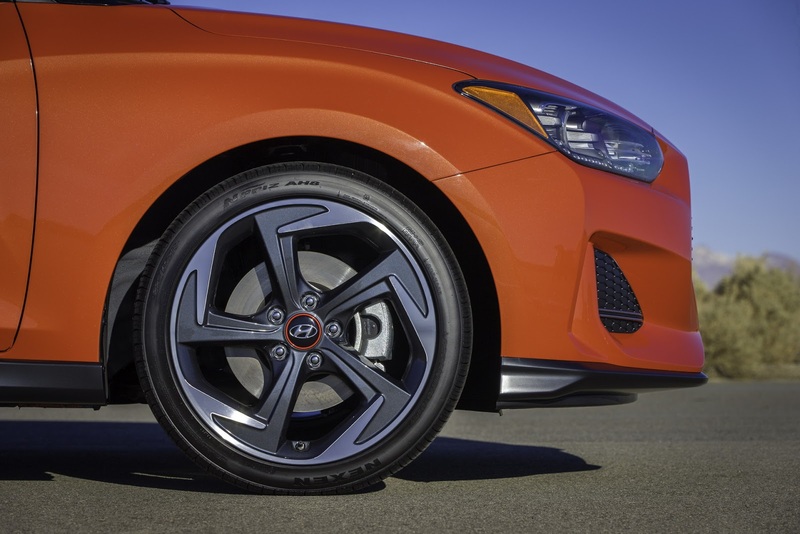 Kia has just unveiled the all-new and much-improved 2019 Forte Sedan at this year’s Detroit Auto Show. 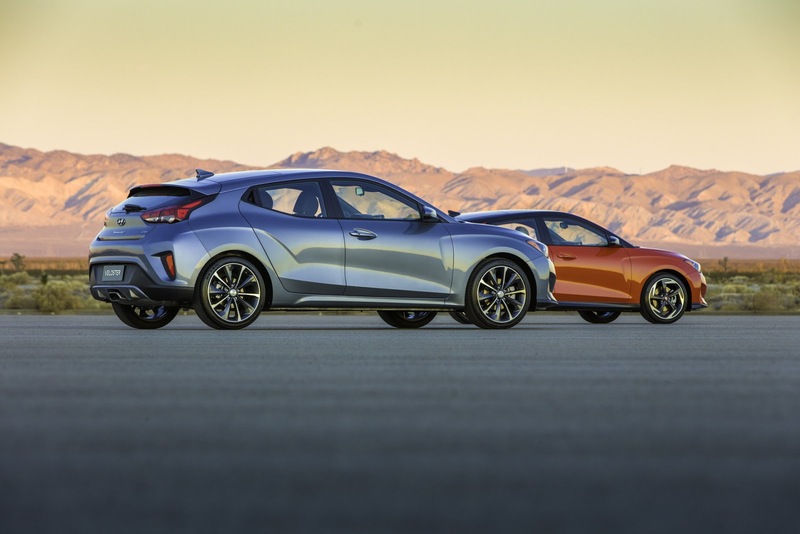 The automaker recently launched a series of renderings that previewed the 2019 Forte, although while the new car does slightly resemble the Stinger, it doesn’t quite look as dynamic as it did in those images. 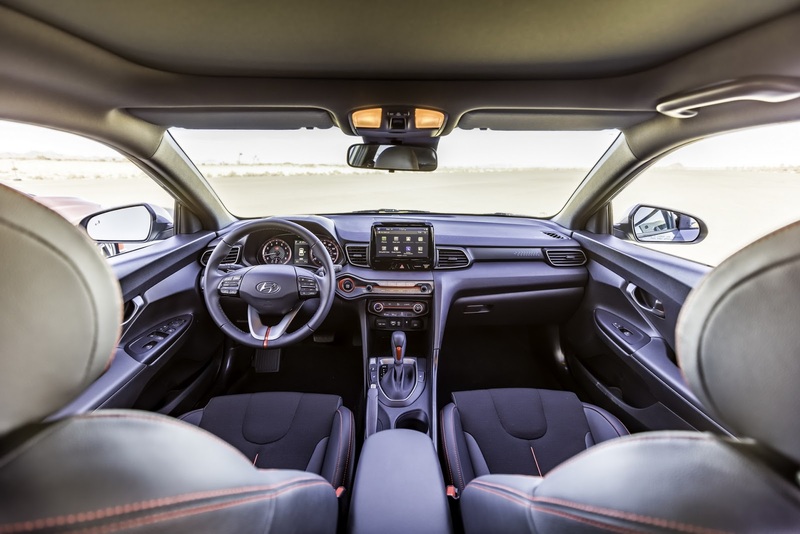 Yet, the all-new Kia Forte is said to offer higher levels of comfort than its predecessor, with visual enhancements inside and out, as well as improved fuel efficiency and modern advanced driver assistance technologies. 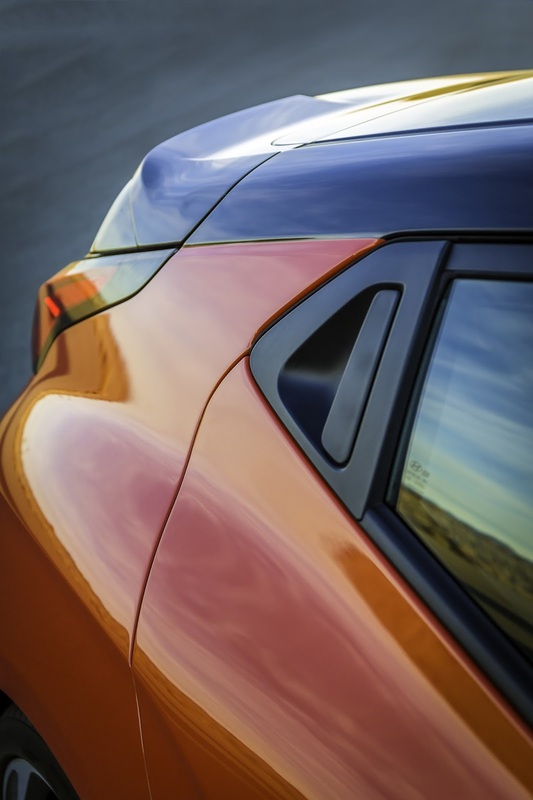 In the styling department, you’ll notice that the 2019 Forte features a long hood and short deck, resulting in a Fastback-like shape, similar to the Stinger. 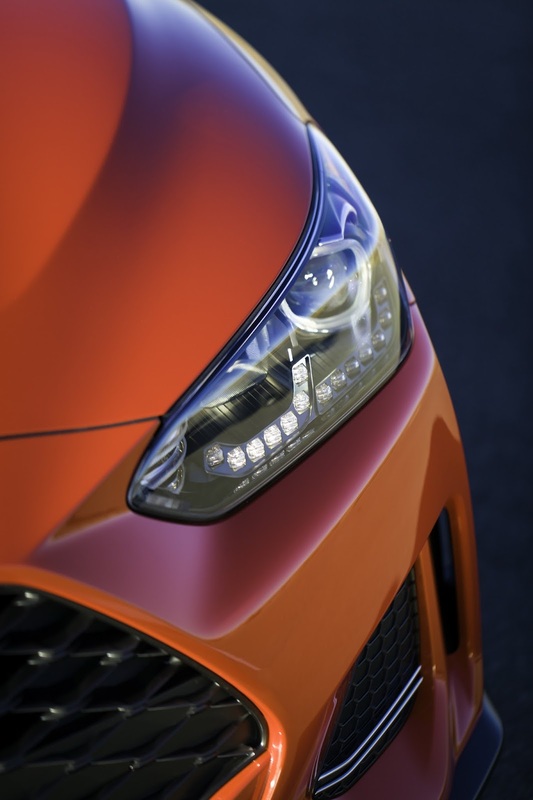 Kia also moved the cowl point back by 5 inches, creating a more dynamic stance for the new model. 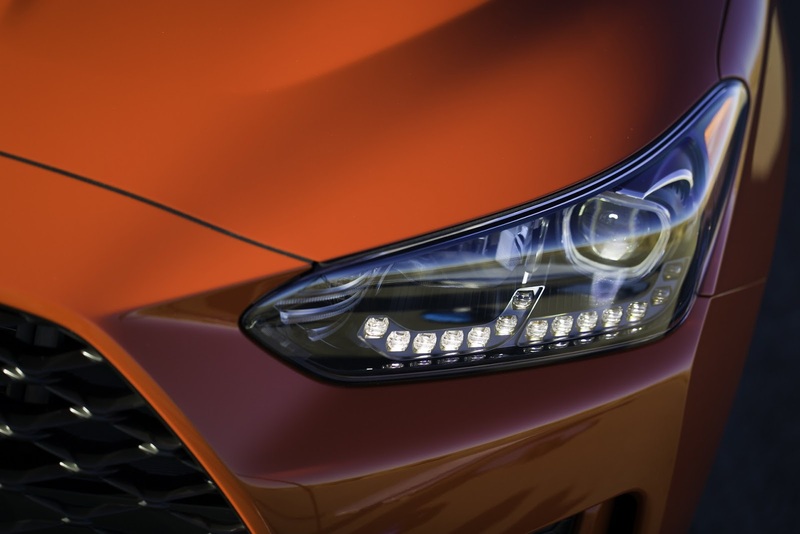 The headlights don’t actually resemble those found on the Stinger, while the LED taillights kind of look like those on the Sportage crossover – thanks to their overall shape and the horizontal trim piece. 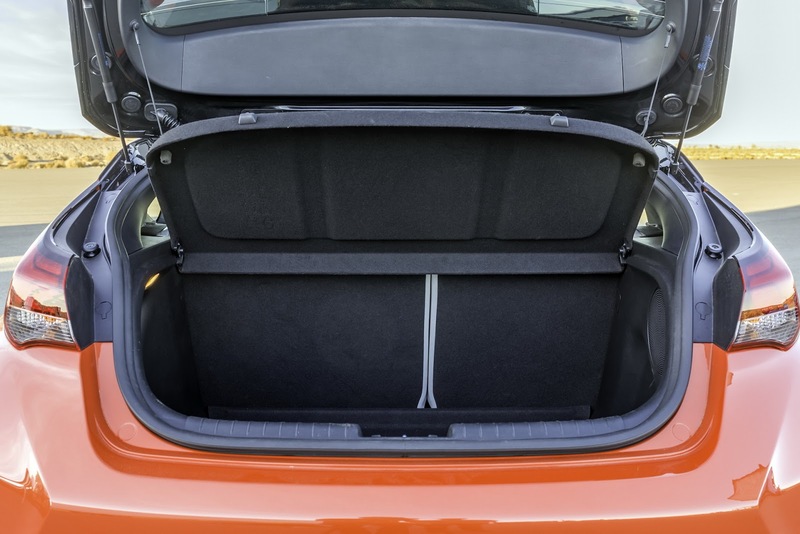 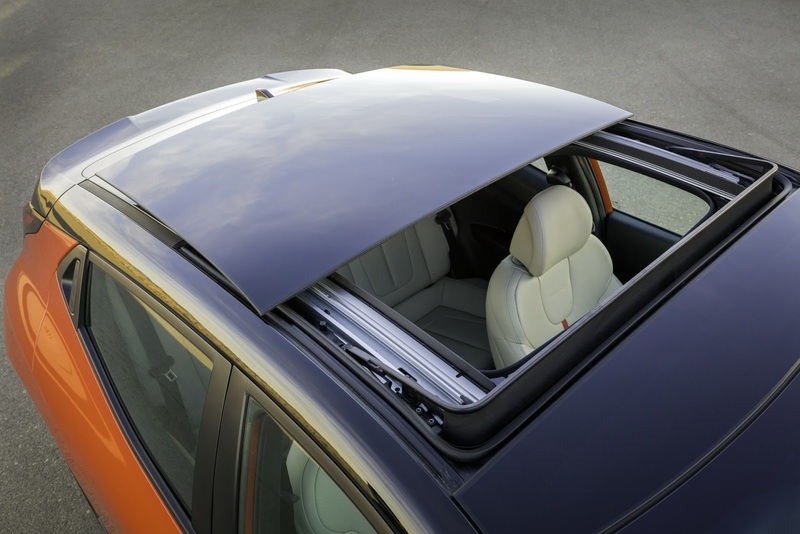 Since the Forte’s overall length was increased by 3.2 inches (81 cm) to 182.7 inches (4,640 mm), overall legroom and additional trunk space also grew. 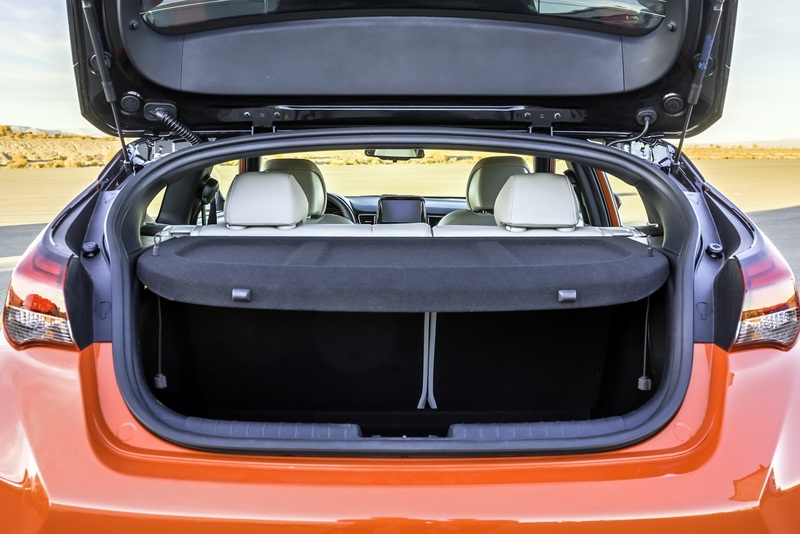 Meanwhile, Kia increased the height by nearly half an inch (12.7 mm) to 56.7 inches (1,440 mm), while width expanded to 70.8 inches (1,798 mm). 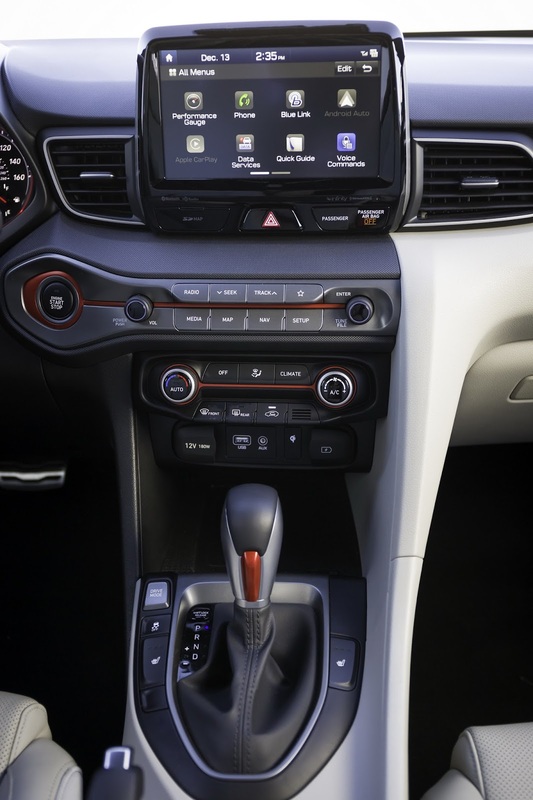 Inside, the Stinger-inspired dashboard features circular vents, an 8″ color touchscreen, soft-touch points and a horizontal theme with clear lines and minimal buttons. 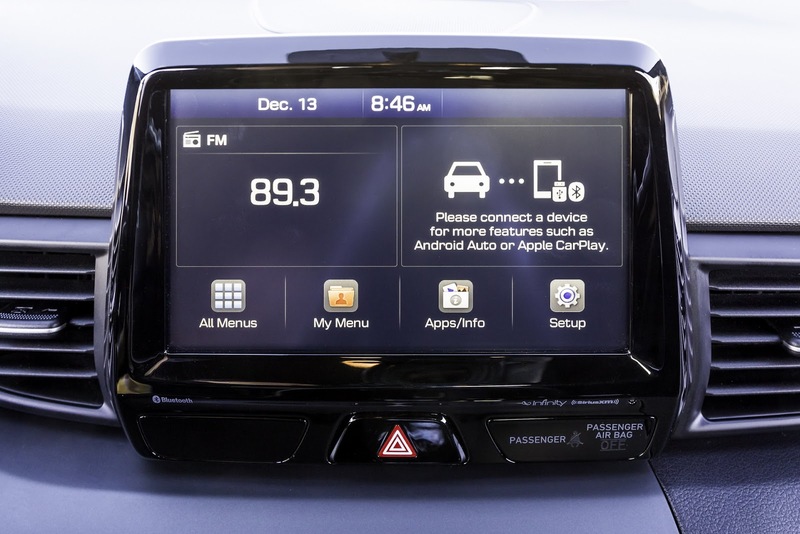 The new Forte comes standard with Apple CarPlay and Android Auto, and can also read your SMS text messages aloud through Bluetooth. 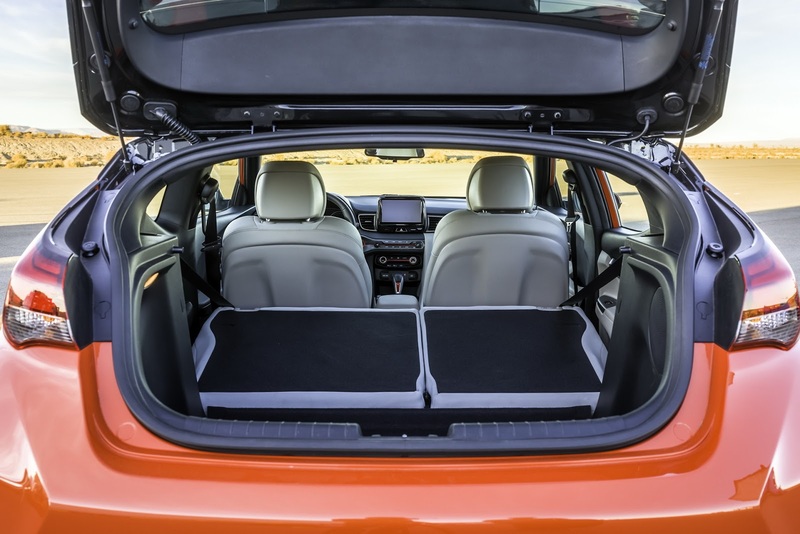 Another useful feature is the available wireless charging tray, compatible with certain Android devices as well as the Apple iPhone 8 and iPhone X. 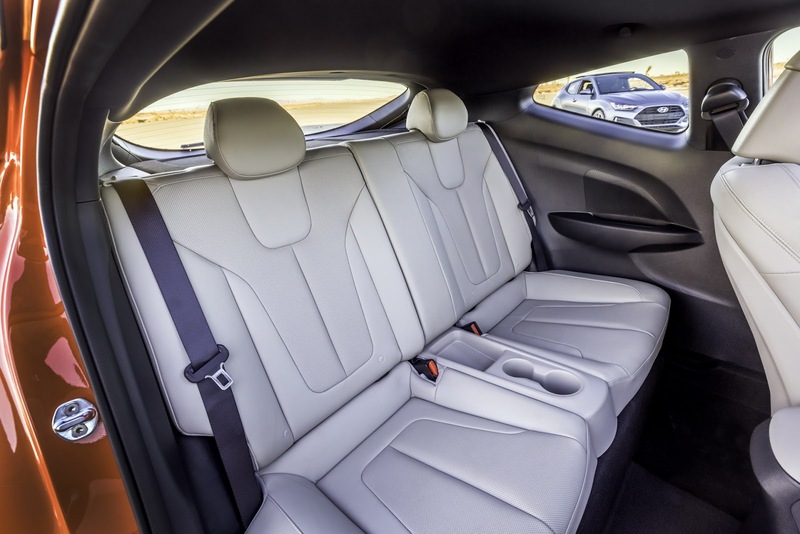 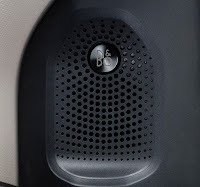 What Kia calls a “surprising feature in this segment” is the new Forte’s 320-watt Harman Kardon premium sound system, with its unique speaker hole pattern on the door panels and throughout the cabin. 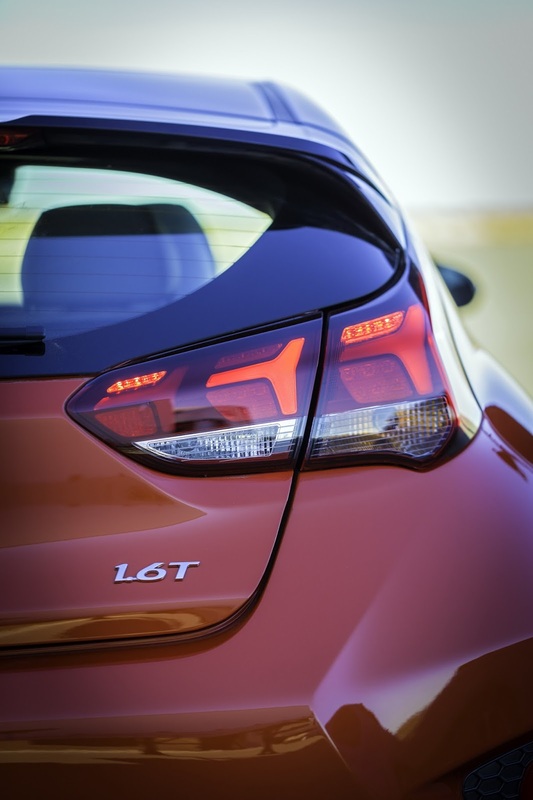 As for active safety tech, in addition to Blind-Spot Collision Warning and Lane Keeping Assist, the all-new Forte comes with Forward Collision-Avoidance Assist and Smart Cruise Control. 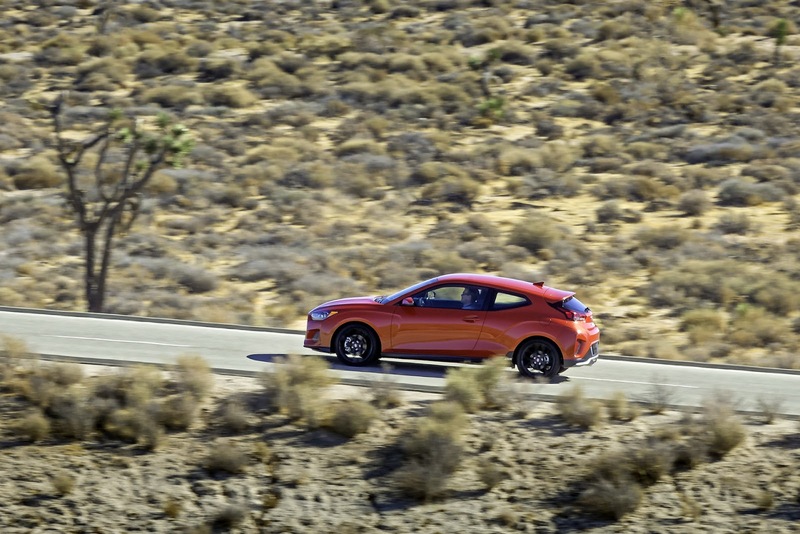 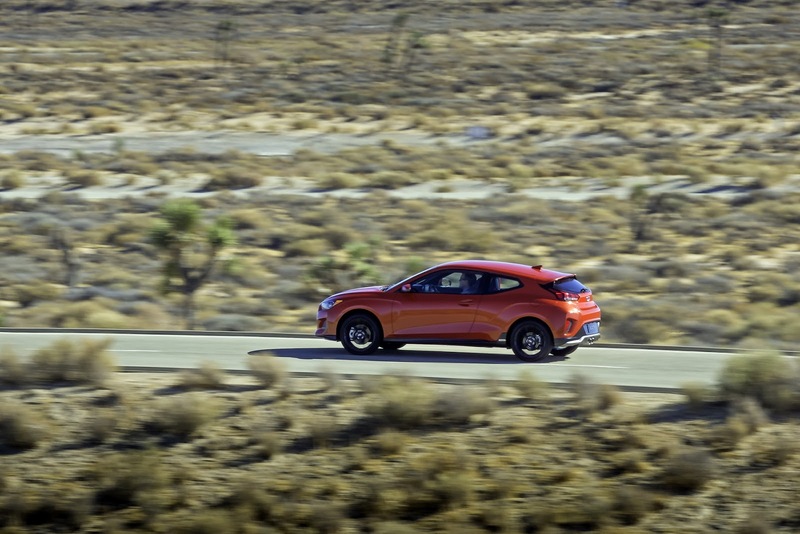 Power comes from a second-generation 2.0-liter four-cylinder engine, boasting Atkinson Cycle technology and a cooled EGR system, both designed to boost fuel efficiency. 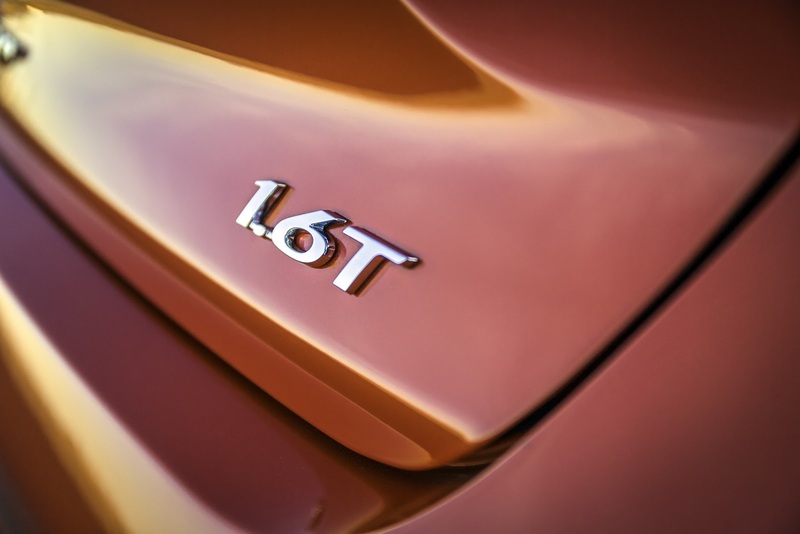 The new unit can be paired to either a 6-speed manual or Kia’s new Intelligent Variable Transmission (IVT). 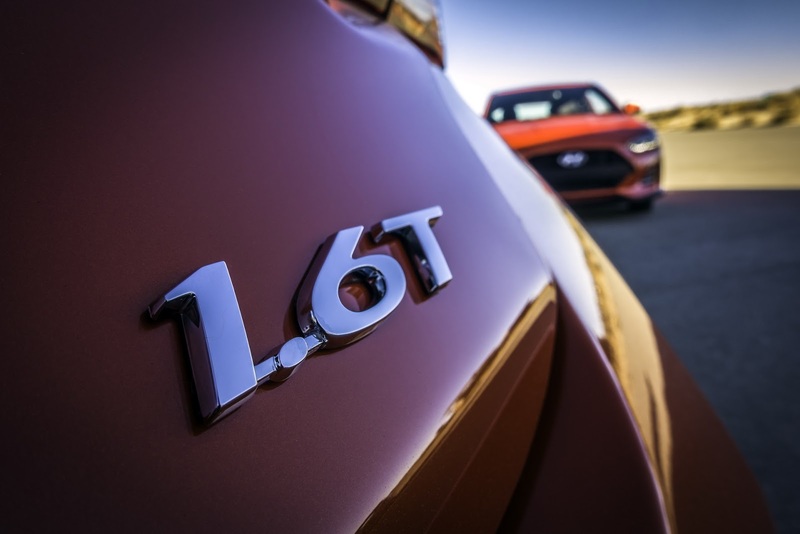 While power and torque remains the same as on the 2018 Forte, meaning 147 HP and 132 lb-ft, the new model is estimated to return up to 35 MPG (6.7 l/100km) combined, a 3 MPG improvement over the current car. 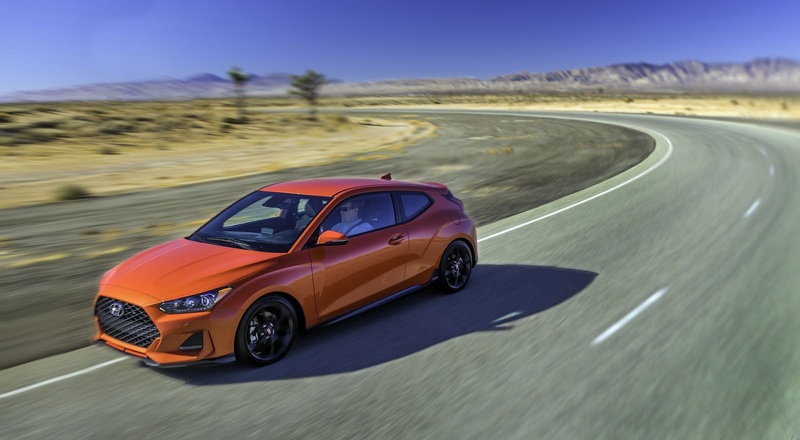 The all-new 2019 Kia Forte will arrive in U.S. showrooms later this year. 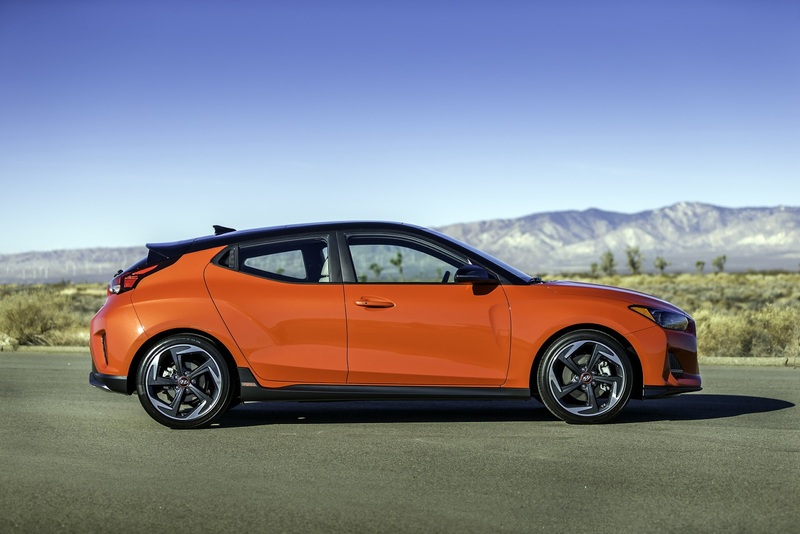 Copyright 2018 100 Hot Cars.